You asked, we answered! These 34 answers to most asked 34 questions are quick responses for the basic information. However, for more information, you can go to our Online Library and find any information you seek there! Why Does Hair Fall After The Surgery? After the surgery, your hair starts to fall because of the shock. Biologically, when anything is moved in our body, the acceptance of that new piece depends on the new area. That is why you can donate your organs but only a few people can have them. When the tissues don’t match, the body reacts fiercely to get rid of the newcomer. As a result, the new agents leave the body. 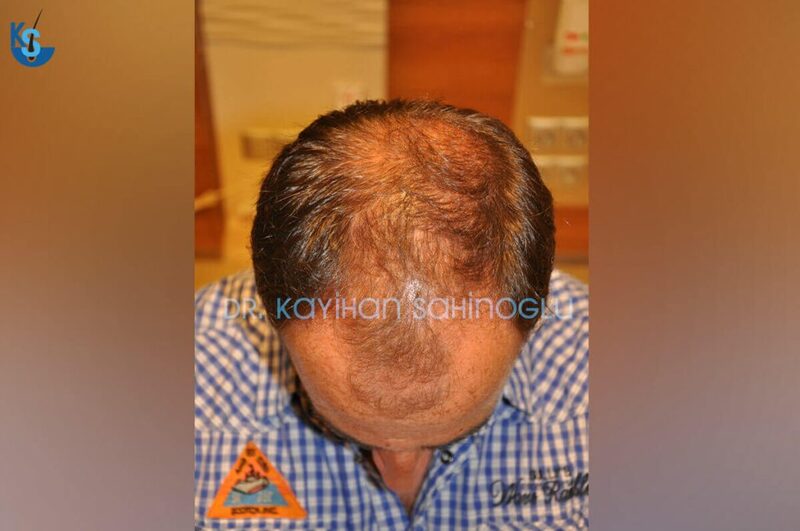 In hair transplant terms, your hair root is accepted to the new area immediately because it has the perfect capability to adapt the area as tissues are seen as same. 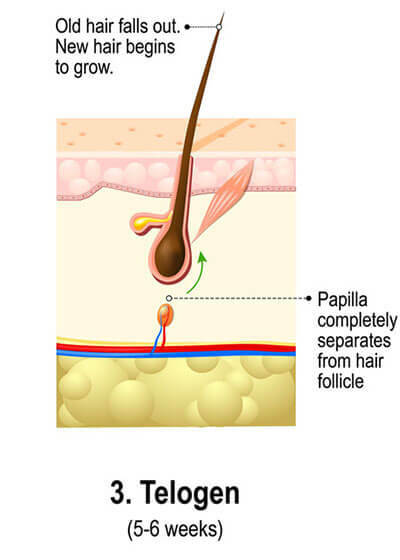 However, hair follicles cause a reaction to the body because they are not similar. Moreover, it takes a while for hair roots to become active. Ultimately, you experience shedding after 3-4 weeks of the surgery. People consider shedding as a problem. In fact, shedding is the signal that your hair is in the telogen phase. Telogen phase is the rest phase of follicles and usually takes around three months. With the beginning of anagen phase, you begin to see little hair growing, which gets thicker every month. Why Do I Have Pimples After The Surgery? There might be many different reasons. Your scalp might react to the equipment used during the surgery. Your scalp might be in need of nutrition. Your scalp might be too dry. You might have an allergic reaction. Pimples are not important as long as they are too many in numbers or cover a specific area. However, if they seem to be out of control, you should immediately talk to your doctor. Why Do I Use Minoxidil After Surgery? For More Information: The Solution To The Hair Loss Problem: Finasteride – Or, Is It? As we have covered this question earlier in the article above, let’s briefly explain why Minoxidil use is common post-surgery. 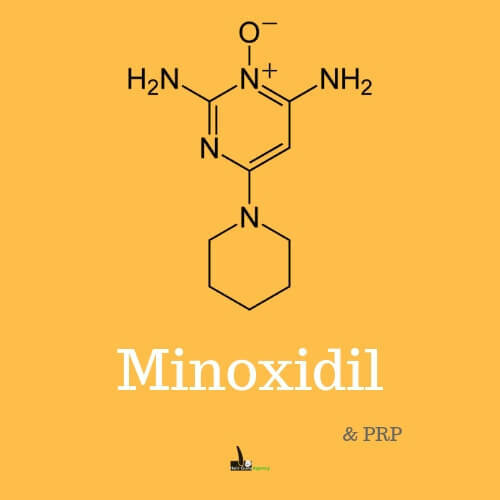 Minoxidil causes almost no side-effects. It nurtures the scalp and boosts hair growth. The effect of the boost is not very strong but it slows down hair loss. Minoxidil does not promote hair regrowth. But because it prevents hair loss, you might think you have new hair growing. What actually happens is, after falling, your hair regrows and with Minoxidil, less hair falls. As a result, you believe hair loss stopped. In reality, your hair loss is probably still progressing. Since Minoxidil has no side-effects and helps you slowing hair loss down, doctors prescribe it to improve results. In many cases, Finasteride is also recommended. These two can create a temporary denser look depending on individuals. Why Do I Experience Itching/Swelling After The Surgery? You experience itching because simply you are healing. It is a good sign that your recovery stage is on and normal. As the scalp recovers, we feel itching on the scalp. It is essential not to touch the itching area. You would damage your scalp and reduce hair growth in the area. If the itching is too strong, please contact your doctor. You experience the swelling because anaesthetics are given to you during your surgery and they should be thrown out. After the surgery, 24 hours, you start experiencing swelling. That is the way for your body to remove the liquids externally. It might be strong, but the faster it happens, the sooner you are done with that stage. Usually, it doesn’t go more than a week and if you still have it after, you should contact your surgeon. Why Does Hair Transplant Work? Because you move one part of your body to another part. It is like moving skin from one area to another. Technically, your body is rich with options to move things around to cover for any problems. Your teeth, skin and hair can be moved around and as long as tissues can support, the transfer would be successful. That is the case with hair follicles as well. If you move hair roots anywhere on the scalp, they will attach to their new place and start working. That is the reason why people who don’t have beard can their hair from their scalp moved to your face and start growing facial hair. Since hair roots are given all the necessary conditions in the new area, they work perfectly there. Why Is There Side-Effects of Hair Transplants? There is no side-effect of hair transplants. There are side-effects of hair transplant surgery, which are not permanent. Finasteride and Minoxidil can cause side-effects, not hair transplants. After the surgery, you might experience bleeding, swelling, itching or, bruises. As in every type of operation, they are part of the healing process and surgeons expect to see them. Why Is Hair Transplant Bad/Fails? Good or bad is relative and depends on the person and the case. If you believe you have bad transplants, it is either because of your clinic choice or, your hair/scalp characteristics. Some doctors are not good at this task and they still do it. It is not only about the skill, but there are also many things you need to think when accepting a patient. Sometimes because of overharvesting, sometimes poor planning, you end up having a bad look. The other possible reason is, your hair/scalp characteristics were not fit for a procedure but you had the surgery anyway. If your hair is not suitable for transplantation, that is because your hair follicles are too thin. Naturally, after surgery, the new growing hair is not thick enough to look good and you consider the implants to be bad. The reason why transplants fail is that of a technical mistake made by the surgeon or technician. 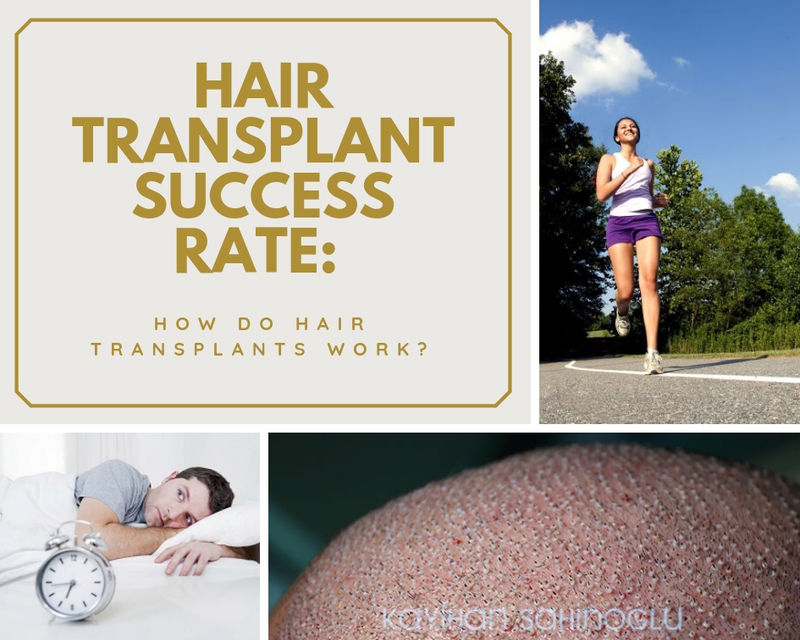 The success rate of hair transplants is around 95%. So, that 5% which fails is because of wrong harvesting, poor planting or, conducting the surgery although the patient’s hair and scalp characteristics are not suitable. 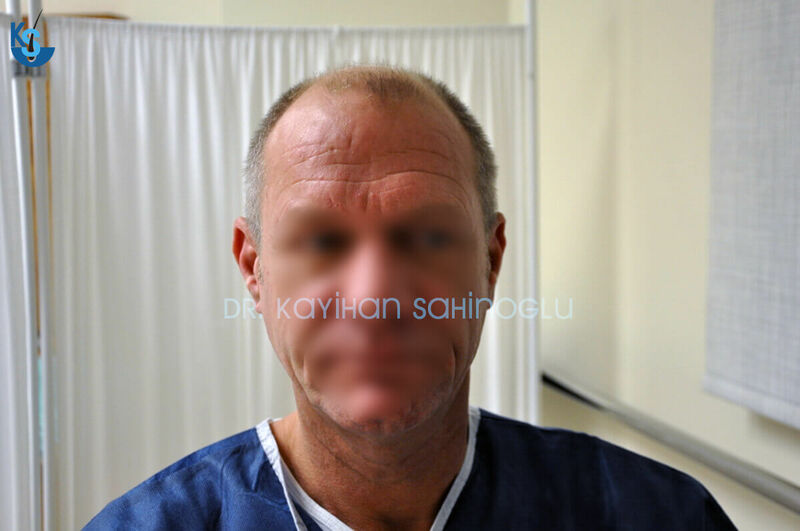 Why Should I Choose Turkey For Hair Transplant Procedure? 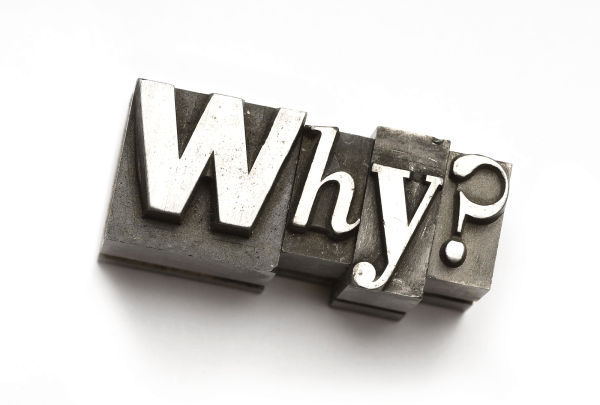 Reasons are numerous. First, it is cheap. You find a decent surgeon with a rate of 1-3 EUR per graft. Compared to North America and Europe, the price is very cheap. Moreover, surgeon quality is as high as other countries if it is not better. 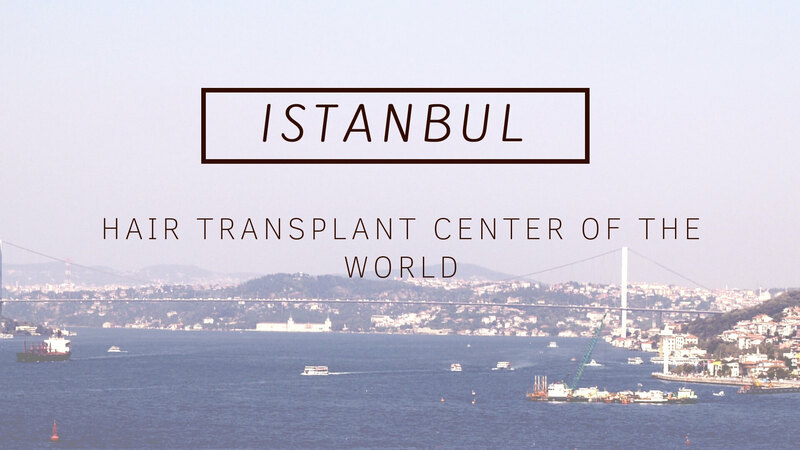 Turkish surgeons are very successful in their profession and if you pick carefully, they seem to be the best option for hair transplants. Additionally, Turkey is a beautiful country. The terror attacks stopped years ago and the country is quite safe now. Once you are there, until you fly back, you can enjoy the beauty of the country. 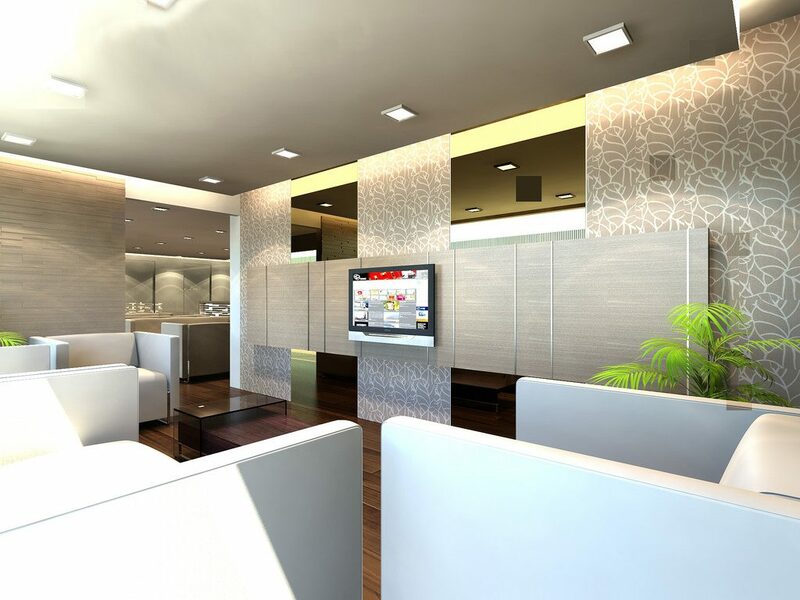 The clinics are equipped with the best technology. Facilities are clean and comfortable. Also, clinics help you with anything you need so you just concentrate on your procedure. 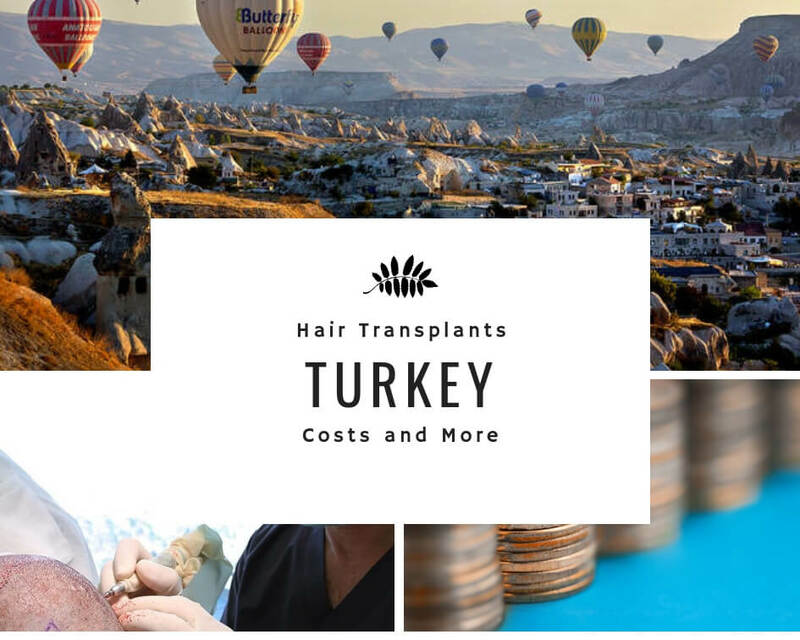 How Much Do Hair Transplants Cost In Turkey? There is a wide range for the cost of transplants. The decent clinics charge somewhere between 1 and 3 dollars per graft. If you choose to go with a package plan, it can cost as little as $1500. Here is a guide where we explained what to do and be careful with. How Much Does Hair Transplants Cost In Canada and US? 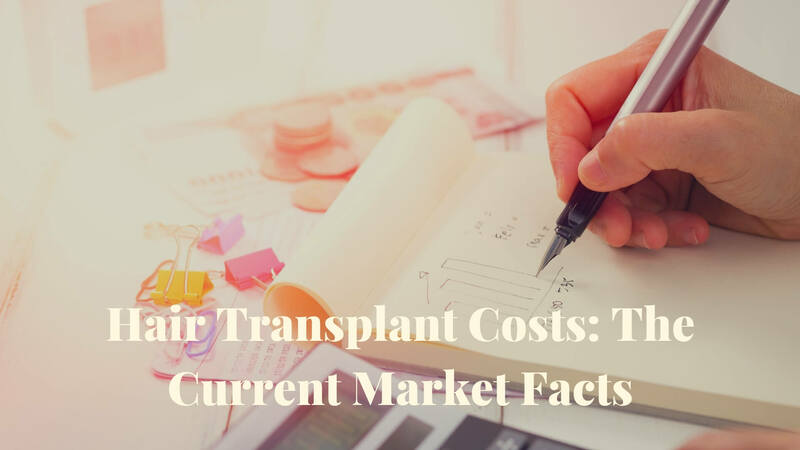 In Canada and the US, FUE type of transplants cost $15,000 on average. Depending on the graft need, this number might increase further. Price per graft is around $8. If you choose to go with FUT, then it is 40% less, around $5. How Long Do Hair Transplants Last? They are permanent. They last forever. Because the hair roots are transferred during the procedure, your scalp regains the ability to regrow hair. As a result, you constantly produce new hair follicles. 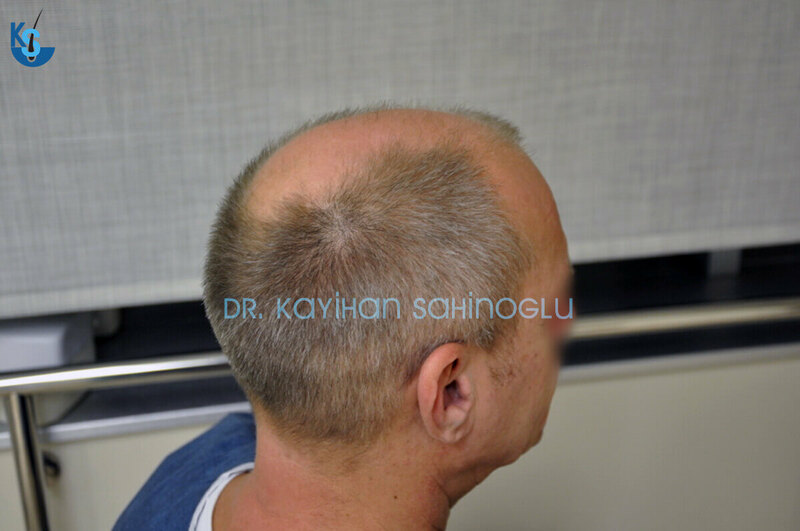 For More Information: Hair Transplant Success Rate: How Do Hair Transplants Work? Can Hair Transplants Increase Density? Yes, they can. In fact, the purpose of the procedure is to get the hair to a bald area and make it seem as dense as possible. While determining the success of surgery, we usually look at the density of hair to rate the results. However, patients should be careful with the density. Especially in receding hairline fix surgeries, we see a common mistake where for more density, surgeons overuse grafts. You get a dense hair but lose most of your donor hair supply which you need in the future if your hair loss progresses. Because of the bad look with the bald area in between forehead and back of the head, you have no choice but to get a second surgery. If your limited supply was used excessively for the first procedure, then you have a problem. Can Hair Transplant Scars Be Removed? You can have PRP sessions to cover the area. After ten sessions, your scar takes the same color as the original. Also, PRP improves hair growth and can temporarily help you. If you are looking for a permanent solution, we recommend an FUE procedure. This procedure doesn’t require any scar and can be used to cover the area where you have the linear mark. Can Hair Transplants Cover The Whole Head? Yes, they can. Hair transplants can cover the entire bald area on the scalp. As long as there is donor hair and scalp characteristics are suitable for surgery, this procedure can take place. Can Hair Transplants Treat Alopecia? Yes, it can. A transplant procedure can be used to cover a recipient area affected by the alopecia. In fact, that is one of the main reasons why hair transplants were needed in the first place. As long as patients hair and scalp characteristics are suitable for a procedure, the operation can take place to fill the bald area. Can Hair Transplant Be Done Without Shaving The Head? Yes, it can be done this way. Every surgeon can conduct the surgery without shaving the head too. However, it is risky. Your hair is an excellent environment for bacteria and viruses to reproduce. Since you will have small wounds after the surgery, even if you use antibiotics, your scalp will be vulnerable to external factors. Therefore, we strongly recommend getting the surgery with your head shaved. Hair transplants may fail depending on some conditions. If the extraction quality is poor or processed wrong, there is a possibility that you won’t grow hair. Moreover, in some very rare cases, we see people not being able to grow hair. For some reason, these people’s hair can’t get past the telogen phase and start anagen phase where you start growing hair. Or, sometimes they grow hair for a few months and lose it again. The major factor there would be DHT level or poor genetics. But again, we see these cases very rarely. Can Hair Transplant Cure Baldness? Yes, it is designed to help people with hair loss problem. If you get the surgery done right, you have a permanent solution for your hair loss problem. 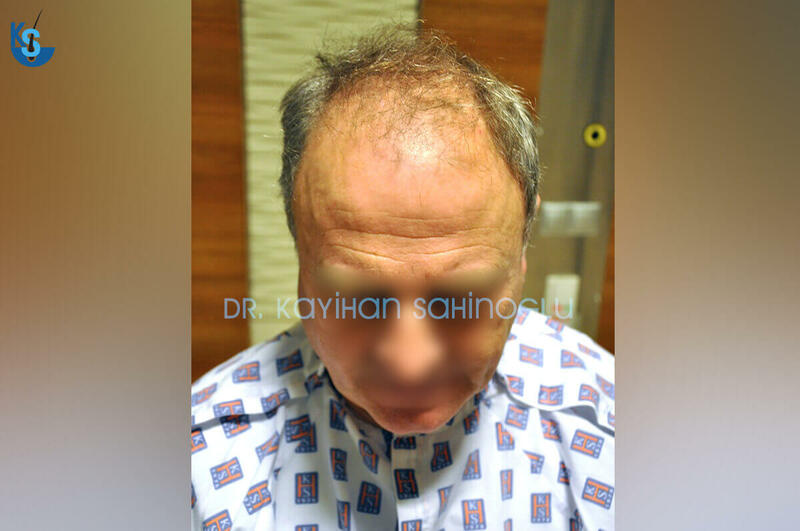 Can Hair Transplants Be Done On A Thinning Hair? Yes, that is one of the reasons why hair transplants are done. To bring a denser look to the thinning area, your surgeon can conduct surgery and give your hair a dense and natural look. We strongly recommend getting an FUE procedure for these cases as this technique gives the surgeon more room for a more aesthetic look. Can Hair Transplants Damage Existing Hair? Yes, they can. If your surgeon chooses to go for aggressive harvesting, overharvests or, conducts a poor FUT procedure, there is a significant possibility of damaging the existing hair. 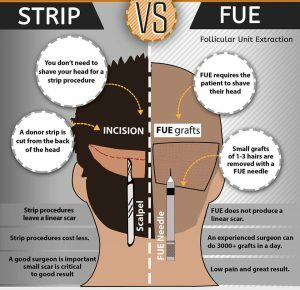 Especially, in FUT procedures, we witness many cases where the linear scar is too obvious because of poor extraction and that leaves a mark behind the head. Because of this scar, you can have your hair short; otherwise, it is an obvious linear mark that everyone sees. Also, in cases where the surgeon overharvests, your donor hair area seems obviously open and anyone can tell that you had a hair transplant operation. Therefore, choosing your surgeon is extremely important and a mistake can bring more problems. Can Hair Transplants Grow Long? Yes, they can. Conceptually, it is the same hair you have on the back of your head. So, if your hair at the back can grow long, your new hair can grow long the same. The length of your hair depends on the anagen phase. If your anagen phase is fast, your hair falls more frequently. That means, your hair falls before it can get very long and a new hair starts to grow. Ultimately, you won’t have long hair because you keep regenerating your hair at a fast pace. But if your anagen phase is slow, you can get long hair without too much trouble. Can Hair Transplants Be Done Twice? 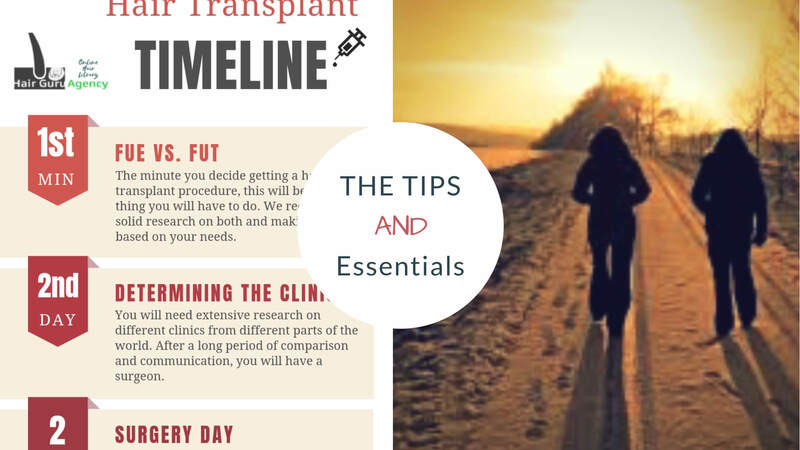 Depending on your donor hair supply, your hair can be transplanted many times. As long as you have sufficient donor hair to be used for the procedure, you can keep having a new surgery. However, you must be careful with your donor hair supply throughout your hair loss. Sometimes, patients don’t build a strategy and end up losing hair. When they want to get a new surgery, they can’t have it because they run out of donor hair. Therefore, it is essential to build a strategy and have effective communication with the clinic you choose. This way, if a problem occurs, you have more grounds to claim your right. Can Hair Transplants Cause Nerve Damage? Yes, they can, but it is rarely seen. 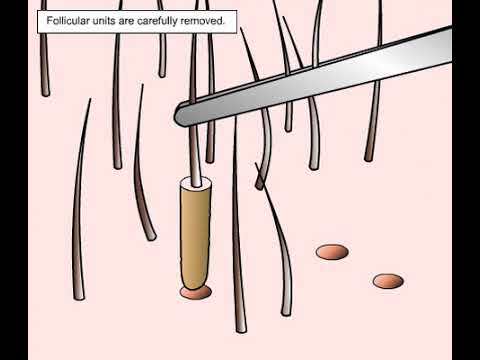 When extracting hair follicles or planting them, your surgeon will be working on a thin layer of your scalp. That is, where he conducts the surgery on is above the nerves and can’t damage them. However, if the surgeon is not careful and goes very deep, or he puts way too much pressure, nerve damage may occur. But, with a fairly experienced surgeon, there is almost a zero possibility of that happening. Can Hair Transplants Lower Hairline? Yes, that is one of the reasons why hair transplants exist. 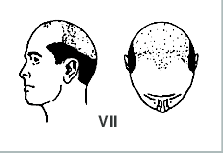 With the first stages of the Norwood Scale, you begin losing hair from sides. Your hairline naturally positions higher and you might be uncomfortable with the new look. A relatively small hair transplant surgery with around 2,000 grafts used can lower your hairline and give you an original look. However, we strongly recommend reading this article about receding hairlines so that you are aware of many potential problems occur with receding hairline fix surgeries. Which Hair Transplant Method Is The Best? The answer depends on your preferences. To find out which hair transplant technique is the best for you, there are things you need consider and decide. In the article above, we have compared the two major hair restoration methods in depth. You can see the advantages and disadvantages of each technique and make the decision after. Neografts and combination of FUE and FUT are new alleged techniques. However, after intensive research, we concluded that these are not new techniques, but rather new ways to name the existing techniques. In the article above, you can find more information about them. Which Hair Clinic Is The Best? The answer depends on your wishes and needs. Some hair clinics perform FUE procedures where the others conduct FUT. Some doctors choose to use grafts aggressively, others build a strategy and might even reject you if they think your case is not suitable for a procedure. Moreover, some clinics use technicians and supervise the surgery while some clinics operate the procedure personally. And of course, some clinics are very expensive and over-priced while others are cheap and under-priced. 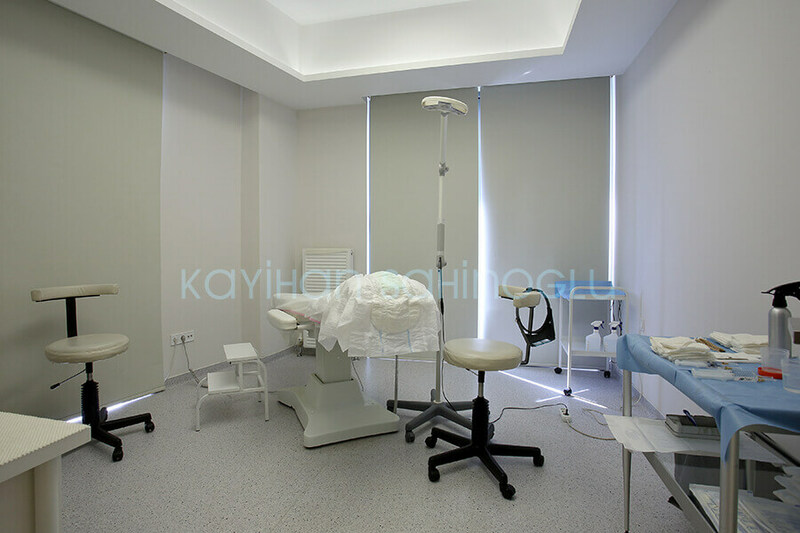 Best clinic wold a clinic where it fulfils your desires and wants the best. If you rely on information online and choose a clinic based on the reputation without sufficient research, you might end up making a mistake and have to deal with your problem for a long time and spend excessively. Who Is The Best Hair Transplant Surgeon? There is no best hair transplant surgeon. There is no best color or food. The word “best” implies it is accepted by everyone and hair transplants are aesthetical surgeries. Therefore, the best surgeon is the surgeon whom you can afford, performs the surgery the way you want and need it and, delivers exactly as you agreed. You can use before and after pictures of former patients to see his work. Or, you can check the activity of your surgeon with ISHRS and ABHRS. Those might give you the best idea who would be your ideal surgeon. But again, we believe there is no best hair transplant surgeon. After two weeks would be a safe time. We recommend waiting at least three weeks to make sure the inner wounds are healed and you recovered enough that the high blood pressure and intense training doesn’t cause any micro bleeding. It doesn’t mean that you can’t start before, but it would wiser to wait a little longer to make sure you don’t have any problems with your hair growth after all the troubles you had. Considering all the time and effort and money you have put into this, it would be smart to just wait and guarantee there is no problem in the future. 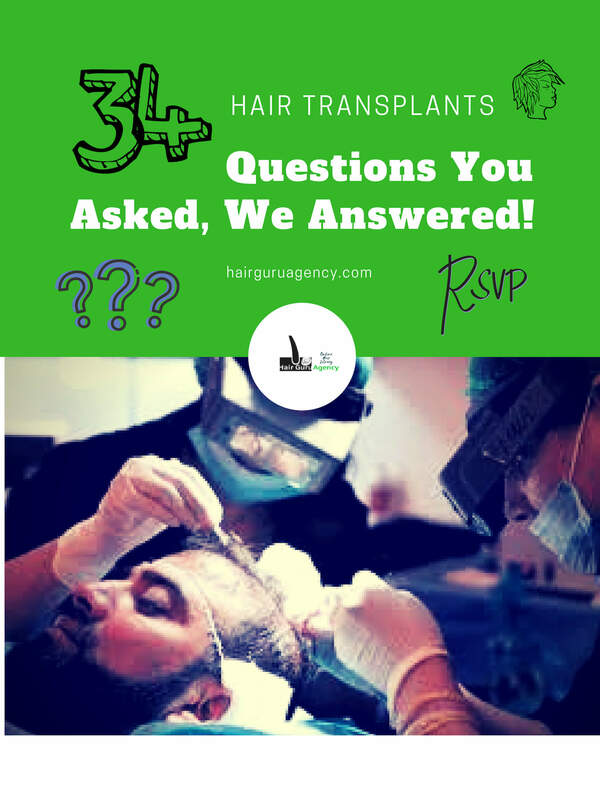 When Should I Get A Hair Transplant Surgery? We believe you should wait at least until you are 25 before you take any action. You might want to start with alternative methods such as Finasteride or Minoxidil before you move on to the surgery solutions. Before you are 25, it is very risky to comment on your hair loss pattern. If your hair loss is past Norwood 5, then you might want to consult a few clinics to get an idea. If you suffer from a receding hairline and want to lower it, then we recommend a little more patience. If you get a hairline fix surgery, you use your donor hair supply in a very early stage of your life. If your hair loss progresses in time, you need second and third surgeries for the crown and the back of your head. The fact that you lose your hair before you are 25 suggests that you have a bigger chance of losing a lot of your hair in the next decade. Therefore, it seems a little too risky. But still, if you want to go on and get your hair transplants, we understand you. We would like to warn you about a potential problem though. If you are still getting your hair transplants, make sure that your surgeon builds a very careful strategy so in the future, you have sufficient hair for next surgeries. Because if he fails to do so, you will end up with a weird looking hair. The best thing you can do is, asking clinics for a detailed plan so even after years, you can follow it make sure no unexpected problems occur. What Is A Hair Transplant Technique? A hair transplant technique is the way the procedure is done. More accurately, the way donor hair is extracted. If your hair is harvested by strip method, then you are having a FUT type hair transplant surgery. FUT method requires the surgeon to harvest hair follicles after cutting through the skin and collecting a linear scalp piece. After, he continues with collecting hair follicles from the skin piece and prepares them for the next stage. On the other hand, the FUE method requires the surgeon to harvest hair follicles one by one, randomly in a selected area. These grafts are then used to fill the recipient area. 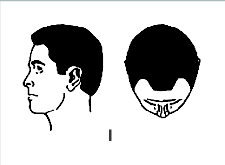 These two techniques are the major hair transplant techniques. All the other names you see online are either one of FUE or FUT or a combination of them. Currently, there is no other technique. What Does Hair Transplant Cost? It can be anywhere between $1,000 and $50,000. The cost depends on your choices of clinic and technique. If you choose an expensive clinic and FUE technique, your cost will be very high. Or, if you choose a cheap clinic and FUT method, then your cost will be low. 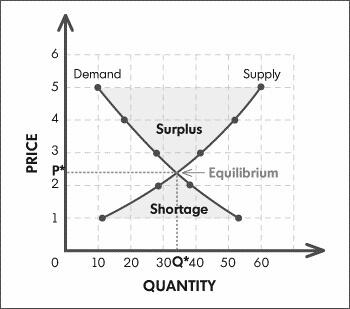 The cost depends on the individuals only. Is There A Risk With The Hair Transplants? Yes, there are some risks involved. First, your hair type and scalp characteristics might not be suitable for a procedure. If you still have implants, you might end up having a very unnatural look. Second, your hair transplant procedure might not be done properly, as a result, as this is a permanent surgery, you might have a bad look. Third, you might get the perfect hair transplants, but after a while, if your hormone levels are unstable or, you have a stressful life, you might lose your new hair. Although that is very rare, still it must be considered. Also, if you are not careful after surgery or, don’t follow your doctor’s instructions, you might have many different problems. The answer depends on your needs and choices. If you have bad hair transplants, then it is not worth it. We believe hair transplants are worth it only if you have them for the price you want, the way you want and as promised by the clinic. 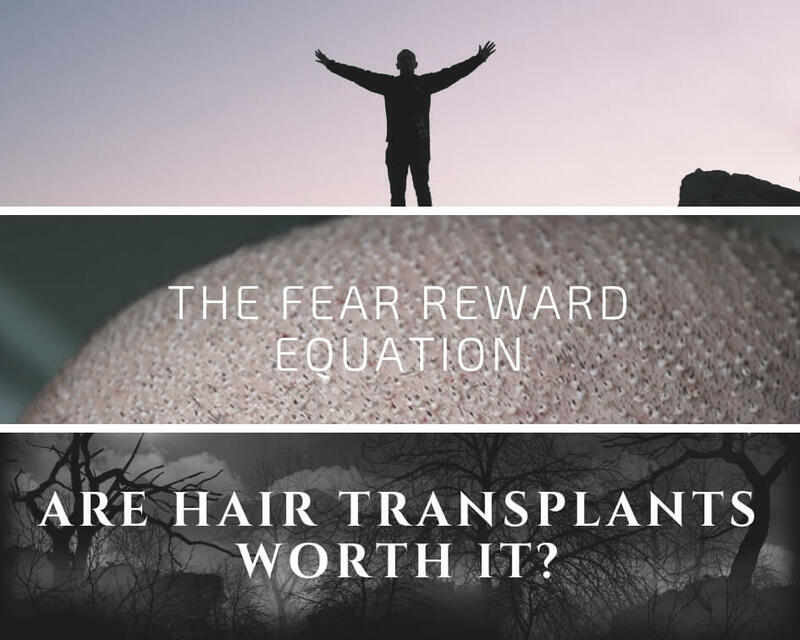 Above you can find our ideas about the topic, but briefly, hair transplants are worth it if you get what you want in the end with the optimal outcome. Are There Any Associations To Help Me? Yes, there are. There are two types of organizations and this point is very critical. 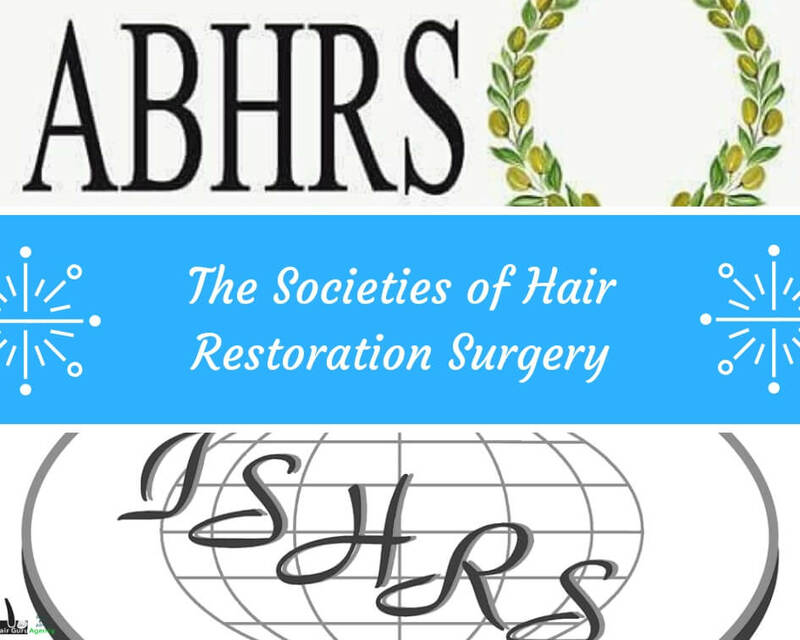 ISHRS and ABHRS are two organizations, founded by hair transplant surgeons to improve standards in the industry and regulate rules. These two organizations can give you information about their members and help you understand if your doctor is really who he is. And then there are other organizations, which are founded by some of the transplant surgeons. Problem with that is, they don’t function to improve anything in the hair society, and they seem to be only for marketing. Even some surgeons in ISHRS and ABHRS are no longer a member in those organizations but keep their status on their websites as active for marketing purposes. Therefore, it is essential that you check your doctor with ISHRS, and make sure that he is who he is. You are well aware of your hair loss and feel like it is time to change how you look. After surfing online for a bit, something keeps coming up, a “Norwood Scale.” But, what is this Norwood Scale? It is a universal way of telling your hair loss stage. When someone tells you, “I am Norwood 3” what that actually means is, he has receding hairline from sides. 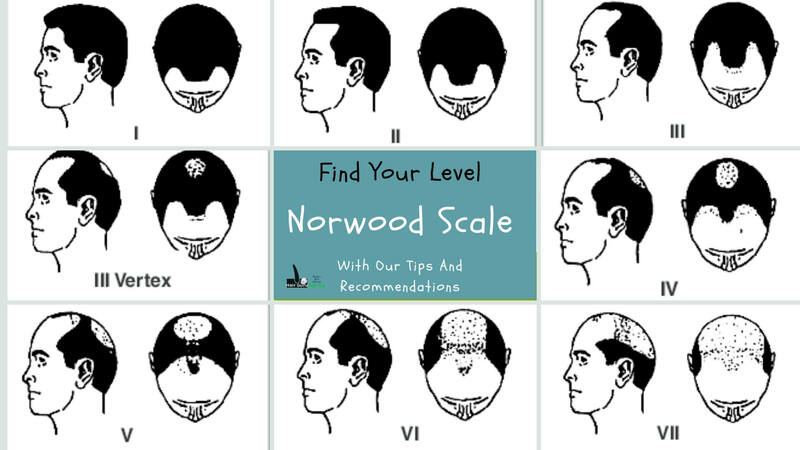 We have prepared you this guide for you to find your Norwood Scale level and learn about details of your hair loss stage. This is the initial stage of Norwood Scale. This type of hair loss is very small in scope. 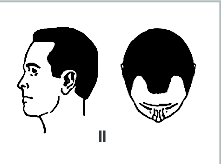 The patient can see receding hairline from sides, however only slightly. It doesn’t change the appearance much but it is the first sign that your hair is getting thinner. Ultimately, that thinning hair falls and never regrows. Therefore we recommend patients to start working hair loss prevention at this stage for the best outcome. The sooner you identify the problem, the better you can respond to it. Finasteride or Minoxidil use can start at this stage and would be the most effective. The reason is, if the problem is with your DHT levels, Finasteride can protect you from its adverse effects. Or, if it is due to stress or lifestyle, you can change things and monitor the changes in hair loss. If you can stop hair loss with any of these, you will have more hair rescued and eventually, you will stay in Norwood 1 Stage for a longer time. Despite your actions, if your hair loss persists, it might be genetic and although precautions still can help, hair loss will progress. You were not aware of your hair loss, or nothing seems to be stopping it. As a result, your hair loss progressed and now the “M” shape starts to appear in the front of your head. Then, your stage is Norwood 2. Norwood 2 is a warning stage because now hair restoration methods such as FUE and FUT are options. Most of the surgeons still recommend using alternative methods like Finasteride and monitor your hair loss progress. 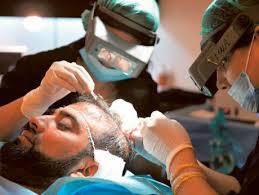 If it continues, there is no point in conducting a hair transplant surgery. If hair loss can be stopped at this stage, delaying a hair transplant procedure makes more sense. Because if you get the operation and then keep losing hair, you will need a new hair transplant procedure to fill the newly bald area. In the end, that would be too much trouble. However, if your hair loss stops or, you want to get the procedure anyways, then you would be needing 1,500-2,000 grafts for the operation. We also think it is crucial to remember you have around 6,000 grafts of donor hair and using an aggressive initial amount causes donor hair shortage in the future when your hair loss progresses. As a result, when you need to get a procedure to fill the back, you won’t have any hair to transplant. Therefore, it is wise to plan ahead and don’t rush in early stages. This surgery would require only one session. If the M shape is very obvious to see, then your hair loss progressed to Norwood 3. 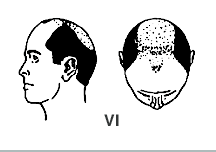 Norwood Scale 3 is the first stage where hair loss starts to affect the crown. The top of the M touches your crown and hair loss cause the hair on your crown to fall. Norwood 3 is the vital stage in your hair loss story. We have earlier discussed the importance of building an effective strategy while getting a hairline fix surgery. It is very popular these days and a lot of people get their hairline fixed. The problem is, you need 2,200-2,700 grafts for the procedure, which is more than one-third of your hair donor supply. Many doctors concentrate on creating a dense look and use as many grafts as possible to fulfill so. As a result, you lose almost half of your hair supply in one area. In the future when your hair loss progresses, your hair on your crown and back falls. Then, you need at least 4,500 grafts for the next procedure. Because the first surgery used too much, you end up not supplying enough grafts. Eventually, you have a bad look. Therefore, it is extremely important to plan ahead and use your hair supply accordingly. An aggressive hairline fix surgery is only a temporary solution and will cause more problems in the future. You can read the Receding Hairline Fix Surgery here. It is the same with Norwood 3. The only difference is, you start losing hair from your crown as well. 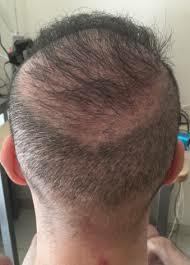 An “O” shape starts to appear on the top-back of your head. The difference of Vertex stage is, it requires a little more grafts. You would need around 2,800-3,200 grafts to fill both the front and crown. If you decide to get a hair transplant procedure, it might be useful to remember the donor hair supply. After the surgery, you should still have enough donor hair left for future operations. Using too many grafts cause problems in the future and your hair might look unnatural. This surgery would require in most cases one session. With hair loss progressing from both the front and crown, your hair loss pattern becomes Norwood 4. Now, the M shape is disappearing as your hair on the front is gone and the O shape is getting wider. 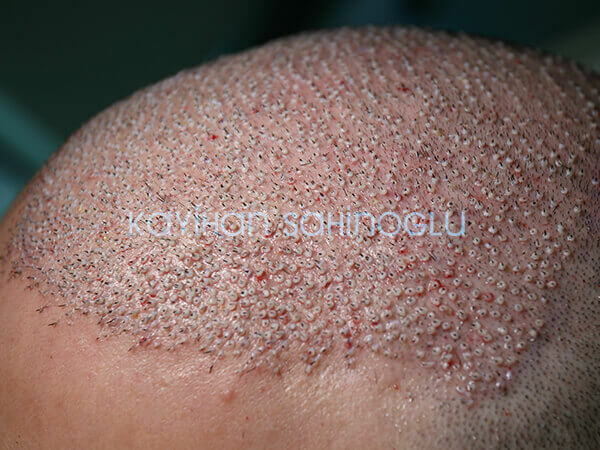 If you consider a hair transplant procedure at this stage, you would need around 4,000 grafts. At this point, your surgeon needs to carefully assess your case and build an effective strategy. If he concentrates only on the hairline fix, your crown won’t look good. Uneven distribution of grafts is not easy to spot at first. When you look at your new hair, it seems very natural and dense. However, after a short while, with hair loss progress your crown starts to seem thin again. Because at this stage, hair loss progresses in a wide pattern. On both the front and top of your head, a wide area loses hair simultaneously and as a result, you find yourself looking for new solutions. Therefore, it is essential to make sure you have a solid plan before getting hair transplants. This surgery would require two sessions in two days. Pushing it into a single day would cause too much trauma and is not recommended. Norwood 5 is the first time you will have advanced hair loss. Your M is almost gone, and O is even bigger. Now you need somewhere around 3,500-4,000 grafts. A hairline fix is still an option but your surgeon should prioritize your crown and back. If you decide to have your transplants at this stage, it might be a good idea. Norwood 5-6 naturally includes Norwood 2-3-4 operations. Therefore, everything you do, you would be doing only once if you wait until this stage. On the other hand, it will be very advanced by now. Having the operation at Norwood 5 and then using Finasteride and Minoxidil might be effective. After using almost two-thirds of your donor hair, you might want to monitor hair loss and get the last surgery when you absolutely need it. That would be the most cost-effective way in mathematical ways. However, each case is unique and we would advise you to build a plan with your surgeon before making any decisions. Your hair loss has fallen most of your hair on the front and crown. Furthermore, M and O shapes have united. The O shape progresses towards the back of your head. The bald area is very large and requires around 5,000 grafts. If you have waited until this stage and get the implants, you will probably be okay for the next few years. There is one more possible stage and in general, your surgeon will also work on that area in this operation to make it denser so you won’t have to do the last procedure. Norwood 6 hair transplants are for some reason notorious. People persist that a surgery at this level is not effective. 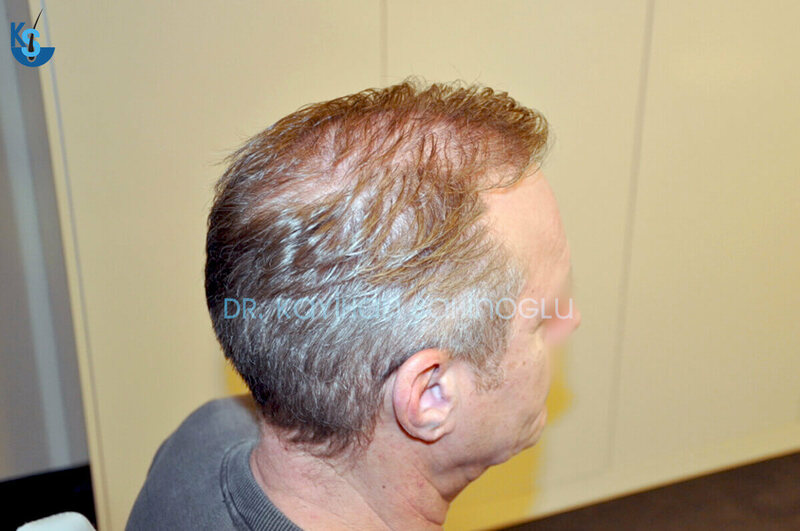 In our article “Norwood 6 Hair Transplants: Excellent Results Impossible, Or Myth?” we have given all the critical tips on how to find a surgeon who can do this surgery very well. With a skillful and experienced surgeon, you can have excellent results and get the most out of your surgery at Norwood 6 stage. Finally, your hair loss is over and you have lost more than 80% of your hair. But if your donor hair supply is there, you can still get excellent results. You would have two sessions in two days and procedures would be length however with a crafty surgeon, you can still get the results you want. Your graft need is between 5,500-6,000. This point is where your strategy pays off. If you get an aggressive hairline fix surgery, you have used too many grafts in the beginning. So, you don’t have last 1,000 grafts to finish the back. And unfortunately, it can be spotted easily. If everything went well and according to the plan, probably you are laughing at your results now. If not, we recommend the use of Finasteride and Minoxidil to prevent further hair loss. Further hair loss can cause a gap in between and your hair would look very unnatural. As you can see, at every stage there are different requirements. Session days differ with the number of grafts used in the surgery. There are risks at every step. The easiest way to overcome all is, to find a surgeon you can trust. It can be painfully hard when you are looking options abroad, nevertheless, you still have to research well. A lot of people let their feeling interfere and end up making the wrong decision. That is because they rush and book a clinic without enough information. They like the price, pictures, and reviews. Then they commit themselves into a terrible mistake. Hair restoration journey is long and not easy. You have to be always careful while interpreting what you see online. Without a systematic work, your chances of failure increase exponentially. The reason why we built the online library is for you to learn the tricks and make your decision based on facts, not feelings. We only tell you the story from our side and wish that you can form your own strategy by looking at ours. 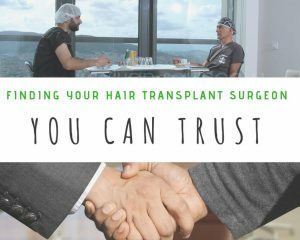 “How To Choose Your Hair Transplant Surgeon: The 6-Step Guide” contains a guide for our guests to read and see one approach. You are free to use it as it is or partially. That article can be an excellent blueprint while you construct your strategy. At any time, please don’t hesitate to contact the team and ask your questions. With every question, we learn something new and create a value that returns to you eventually. If you are in the early stages of your research, it might be useful to concentrate on what you want and if it can be delivered more than how much it costs or where it is. In the end, if you do things the right way, it will be worth it. Even when you make a mistake don’t worry about it, you can still change your strategy and make it right. Hair transplant timeline is a necessary tool for patients to have an idea of how things are going to be like in the, well, next year. From the moment you have made your decision, you will try to get pieces of information together to have a rough idea about estimates. We believe if you can grasp the timeline efficiently, things will be easier. Therefore, we prepared this guide and explained every detail you should be aware. Determining The Technique: FUE or FUT? If you believe you are ready to permanently fix your hair loss problem, this will be the first question to answer. Each technique has advantages and it is better the more you know about each. In our article “Best Hair Restoration Method: FUE vs FUT“, we have discussed each method in detail. Here is an infographic for you to see the comparison. Briefly, FUE type of hair transplants leaves no linear scar at the back of your head. Furthermore, this technique delivers a more natural look. Compared to the FUT, FUE is more expensive. Also, it requires the surgeon to work more carefully. On the other hand, the FUT technique is cheaper. The surgeon gets a linear strip from the back of your head and then prepare grafts for planting. Every person has different needs and wants, therefore you choose the method according to yours. So, your journey begins with this decision. After choosing the method, based on your budget, you pick a clinic. We believe this is the most important part of your journey. Everything happens from now on to the next decades depends on your clinic choice. Therefore, spending more time researching and making the comparison between different options increase the outcome of your journey. Our article “Choosing Your Hair Transplant Surgeon” explains our strategy on how to choose your doctor. However, that is only a blueprint and you should build your own strategy. As you do that, that guide can help you construct your own strategy more efficiently. Here is a simple visual to explain what we explain there briefly. In this stage, you have already chosen a clinic and booked a date. In most cases, your clinic provides you with the necessary information. We respect each clinics methods and therefore recommend following their instructions strictly. The best thing you can do is relaxing. It is vital to stay away from reading more information prior to your procedure. Because the more you need, the more you get confused. The worst thing is feeling panicked and start thinking if you have made a mistake. As long as there is a crucial problem with the clinic, you should only concentrate on making the surgery go excellent and prepare for post-surgery. We believe if you don’t feel comfortable with your decision, it might be due to insufficient research. When you make extensive research and know the entire journey, you realize that it is not very confusing after all. Once you visualize the whole process means you are very close to success. 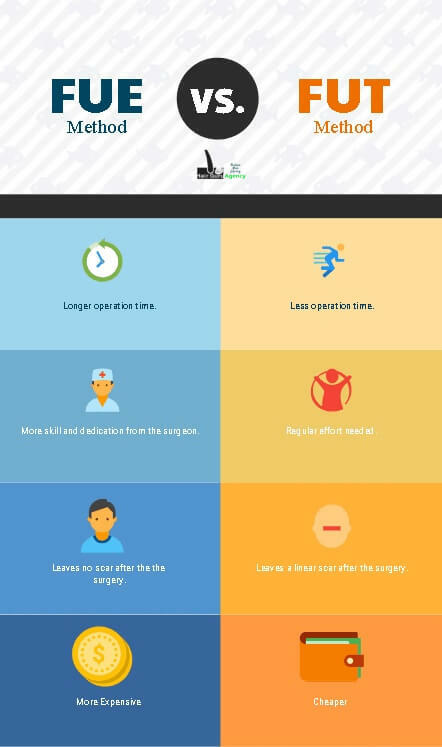 Therefore, you will see that even before the surgery, you must be planning post-surgery to increase the efficiency of your procedure. 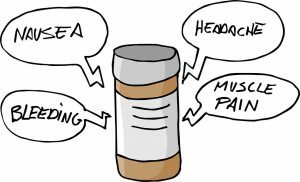 The anesthetics will help you feel less pain. We see a lot of advertising claiming it is painless. That is untrue. This procedure takes at least 5-6 hours and there will be times you will feel stressed and pressure on your scalp. In most clinics, they provide pills to make you feel relaxed. That really helps. If you feel pain, and can’t take it anymore talk to your doctor. In most cases, the actual pain combines with stress. As a result, you feel more pain than there actually is. It is vital to let your doctor know and stop if necessary. Your surgeon might be too focused on the task. They might not be aware of your pain or, they might want to avoid stopping. No matter why, you are in that position, communicate with the team. In most cases, the patient remains silent. He doesn’t speak for the sake of the operation. That stress causes the outcome to be poor and you are hurt for no reason. It reduces the natural look in the end and your healing time gets longer. Moreover, it gets more difficult to tend to your wounds after the surgery. But, if your doctor stops when there is too much pain and you rest, your stress dissolves. You feel stronger in a short amount of time and the procedure becomes less painful and easy. Your doctor will explain to you which medications to take, what to do and when to take shower. You will be tired, but the most difficult part will be over. From this point on, you can start focusing on healing. If you had a FUT surgery, the aftermath is a little different. Since the procedure requires extracting a linear strip, you will have a bigger wound. Sleeping might be uncomfortable first few days because the scar is on the back of your head. It just takes a week or so for your scar to heal enough that you can return to your normal sleeping ways. The planted area will be bleeding time to time depending on the surgery. The first few days, the anesthetics might be leaking from the micro scars. That is normal. After the bleeding and leaking stops, your healing process will be less discomforting. Also, just a quick reminder; every person is different and your experience might be different than our timeline. However, for everyone, we recommend taking the first week easy. That doesn’t mean sleeping all day, but when the pain is not there, you might forget and do something you’d normally do. And that might cause bleeding. To prevent that, doing everything slowly is essential. First and most important tip: Don’t get discouraged in the first three months after seeing the results. Concentrate on only healing in that period. Your implants will start healing and adapting to the recipient area. Your hair will fall and that is very normal. Because the idea is not transferring the follicles, but rather their roots. Therefore, since adapting to the new area takes a few weeks, your roots won’t be sensitive immediately. As a result, your hair follicles will fall because of insufficient nutrition. You might experience swelling and shedding in this period. As it can be bothersome sometimes, it is just the part of the process. After a while, you have less swelling. It is crucial to spot uncommon scars or problems in the area. Your surgeon has a better chance of fixing it the sooner you tell him. Now, since your hair follicles are transferred in an unnatural way, they will experience a shock. That is a natural part of the process where the implants cause a shock in the area. That will be followed by the adaptation of new hair roots. This happens usually in the first two or three weeks. Starting the third week usually, you will experience shedding. As we explained earlier, the nutrient flow will be insufficient and the new hair will be rejected by the scalp. Consequently, your hair follicles will fall. From that period to the 4. and 5. month, your surgery area will remain bald. In the fourth month, you will start seeing very thin, baby hair follicles. If the recipient area was your crown, it takes a little longer. So, it is safe to say you can expect your first follicles in 4-6 months. You will have complex feelings. If you feel discouraged by the look of the new follicles, try ignoring it. That is only the first round. From the shedding until seeing first follicles, your hair goes into the telogen phase. Telogen phase is the resting stage of the hair cycle. Let’s quickly remember the anagen and telogen phases. The anagen phase is basically when you have the hair. From 2 to 6 years, your hair constantly grows. You usually get many haircuts to shape the same group of hair follicles. When this phase is longer, you get longer hair. If you can’t have long hair, that is probably because your anagen phase is short and you can’t grow the same follicle long enough. This phase follows the shedding. Your hair root adapts its new place and starts making the connections to produce healthy hair follicles. Meanwhile, your hair root is in resting phase. Telogen phase takes approximately 100 days, a little more than three months. That is the reason why your hair starts to appear after four months. After the telogen phase, the anagen phase begins. So, before the telogen phase is complete, hair can’t grow. Therefore, you have to wait until the telogen phase to finish for the hair to begin the anagen phase. 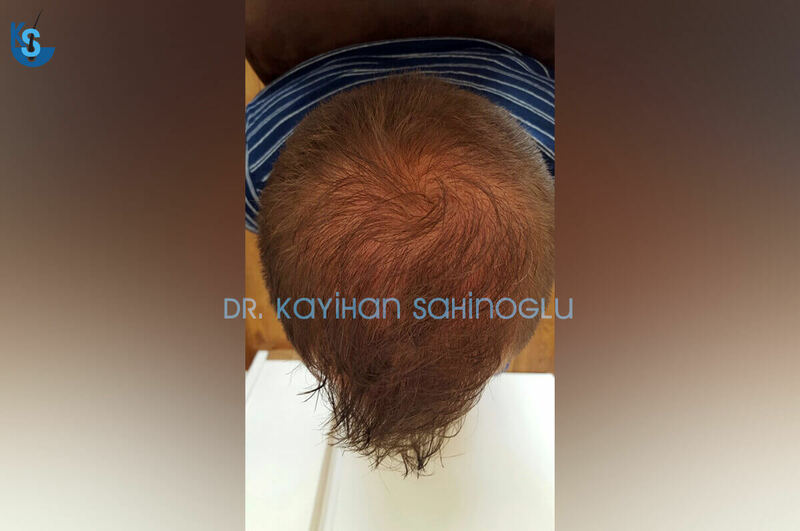 With the beginning of the anagen phase, thin hair follicles also begin to appear. After the 8. month, you should start seeing thicker hair follicles. 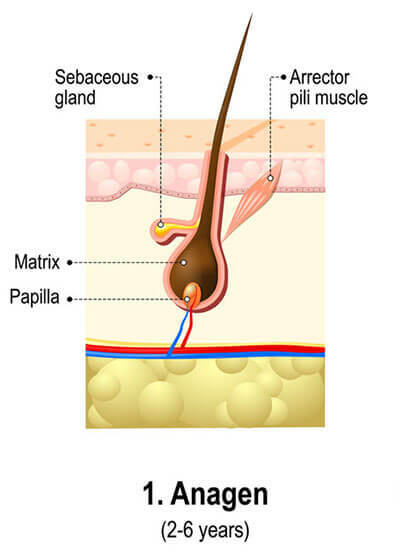 Now, the thin follicles become thick, natural looking hair follicles. Additionally, they are ready to be styled by you. If your hair follicles are curved, don’t worry about it. As the scars heal, that curve will become its original self. It is just a transformation phase. You still can’t see the full outcome of the surgery. There is still 20-25% of hair follicles to grow. Therefore, it is crucial to wait just a few months to finally have a decent idea about the hair. After a very long journey, you have come to the very end of the timeline. By now, you should be able to grow your hair with full potential and the result you see is permanently there. Your hair is back to its normal cycle and hopefully looks great. If there is a problem and you are concerned about the result, you should immediately talk to your surgeon. It is a natural part of the surgeries that sometimes things don’t go as planned. Or, sometimes you need or want more. Either case, there are things you can do. Depending on the problem, you might start using Finasteride or Minoxidil as a first solution. They help to prevent hair loss and make the area look denser. However, if they can’t help you or, you want another surgery, you can talk to your doctor to see what else can be done. 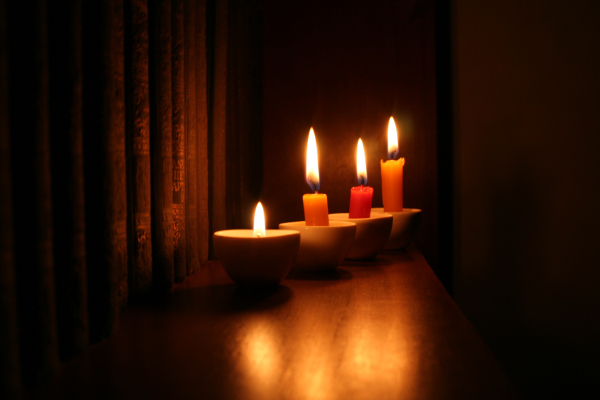 We sincerely hope that you don’t need to consider these steps and everything went perfectly. We have shared our ideas in many of our articles about hair loss. We believe hair loss is both controllable and uncontrollable. We recommend you shouldn’t worry about things like genetics too much. If it falls, eventually, it falls. Nonetheless, for the things you have control on, you might want to be aware and active. Hair transplants are permanent, however, your original hair is not. When your hair loss continues, it might cause a need for a new surgery or, treatments. Therefore, the more you prevent hair loss, the less you have to worry about them. Changing your lifestyle and reducing stress can be very effective to stop hair loss. The right balance of them combining with other factors form a healthy hormone structure, and you keep your hair loss under control. Ultimately, you have gone all this trouble and got the ending you wanted. We believe it’s worth doing something about it rather than letting it happen again. After all, this is a very long journey. 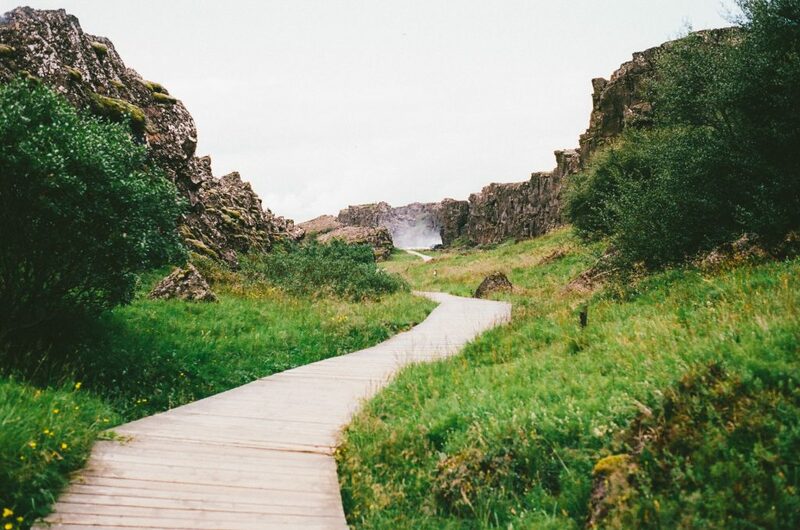 If you make the right decisions and protect the outcome, you will have the most out of your journey. Otherwise, you might have to restart and that never feels good. Hair transplant before and after pictures contain vital data for every patient looking at clinics. In the decision-making process, comparison of before and after pictures has an essential role. Patients can look at many different cases to position the surgeon on their minds. Then, they can find the ones that match with their situation. Naturally, the more similar the cases are, the more chance of success is in the surgery. Or, is it? Let’s discuss further and find out! The new generation is visual learners. 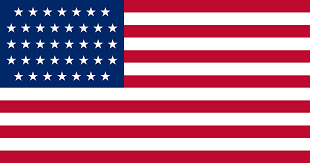 Research proves that %65 of people are visual learners in the United States. Text information is still valuable but only 1 out of 5 people read it. But every one of those 5 people looks at every picture. Moreover, %53 of people find visuals more important than the reviews and rates. That is quite a game changer. As a matter of fact, considering hair transplant procedure is about visualizing the outcome, visual data becomes even more critical. You probably knew this, because you are aware that everywhere you go, you instinctively look for before after pictures. Common sense requires you to check before and after pictures, it is the proof of the surgeon’s work. You know this, so does the marketing folks. They are well aware that prioritizing visual components such as pictures and videos are highly effective. Therefore, they try to use those as much as they can. That is very natural and beneficial for everyone in the market. However, there is an important problem. How can you know these elements are real? Even when they are real, is there a guarantee that your case will be the same? First, you need to know what to concentrate on when you see a before and after picture. We earlier discussed the risks of getting a receding hairline fix surgery in our article. You can read it here. Briefly, there are two problems with these type of procedures. You have a limited number of donor hair supply. On average, you have around 6,000 grafts. This number is not enough to cover the entire bald area if your hair loss continues beyond Norwood 6. Your donor hair supply is only sufficient to cover two of the total three areas; Forehead, crown, and back of your head. These three areas usually require around 7,000 grafts. If you begin with a hairline fix, after many years when you experience hair loss on the top and rear of your head, there are not enough hair follicles to transplant. Even if you get hair transplants, somewhere will stay bald or won’t look dense at all. Second, the problem is surgeon efficiency. Since hairline fix surgeries require around 2,000 grafts, people tend to think it is an easy task. This kind of surgery needs more dedication and concentration. If the surgeon fails to fill the area proportionally or excessive amount of grafts were used, you will have an unnatural look. 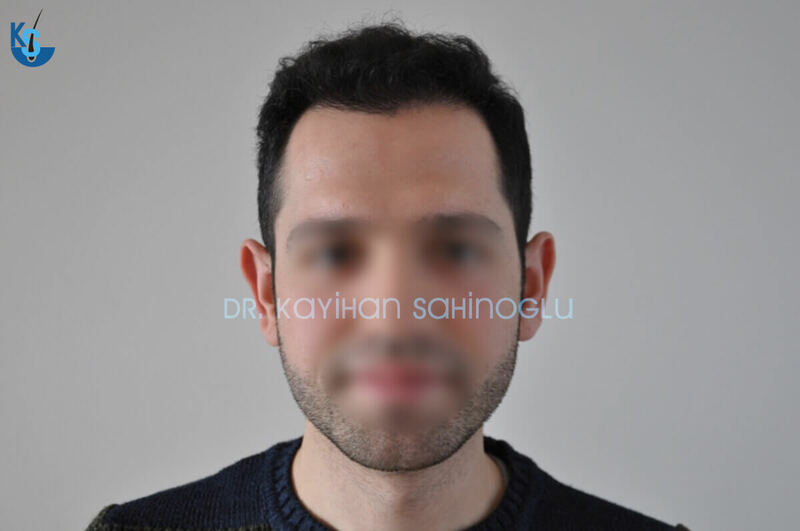 Interestingly, when you look at the hair transplant before and after pictures, you will see many hairline fix surgery pictures where a fresh photo of the surgery demonstrates the quality of work. First, after surgery pictures are not useful in any way. The scar of transplants makes it look bigger than it actually is for each hair follicle. On the picture, the recipient area seems very dense and natural. After a few months when hair follicles drop and regrow, that is the first time you can have an idea. But, the best time would be after a year of the surgery. After a year, you can definitely have an idea about results. From the surgery to the one year mark, it is a process and it should have an impact on your decision. From our point of view, the optimal time to get hair transplants is after Norwood 5. Now, this is our idea, it is not a recommendation in any way. The optimal time for you depends on your needs and wants. Our idea is from a technical point of view. Your surgeon needs to have an idea about your hair loss pattern. That is the most important information for the doctor. After years of experience, many doctors are able to tell the pattern but they don’t want to risk it. Because the outcome will be permanent and there is no room for errors. Therefore, the more hair loss progress, the more they have certain information. 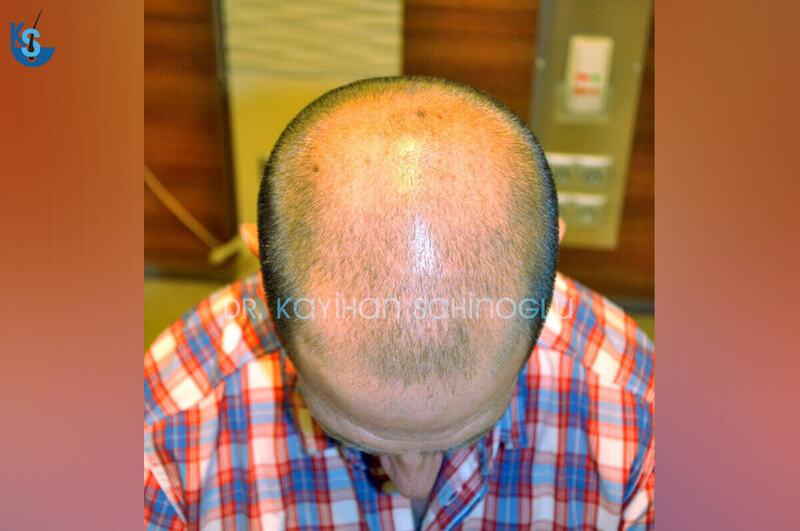 After Norwood 5, your hair loss has already impacted your forehead and crown, the area is clear for the procedure. The only thing you need to do is, choosing a surgeon with enough experience and skill to execute the task. 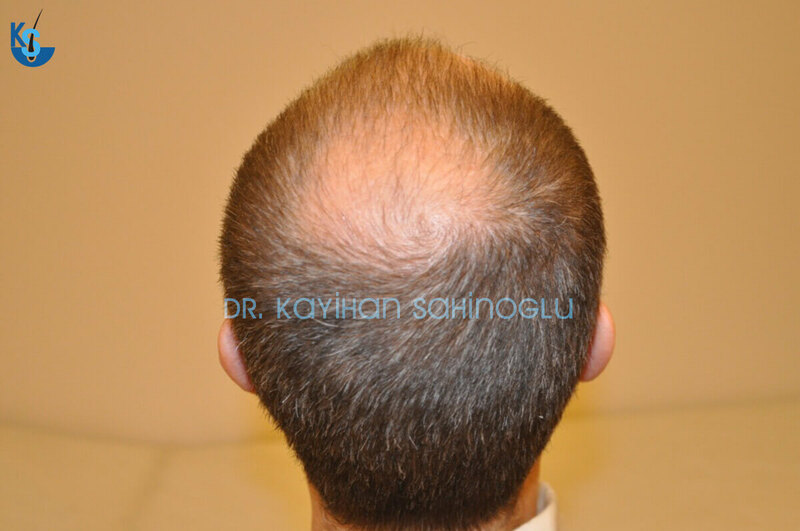 This hair transplant before and after picture shows a case of Norwood 6. As you can see, the patient needed both the crown and forehead filled. In most cases, to cover for lack of experience and skill, surgeons fill the top and set the hairline closer to the top. This angle shows the hairline. As you can see, this case represents the perfect balance. 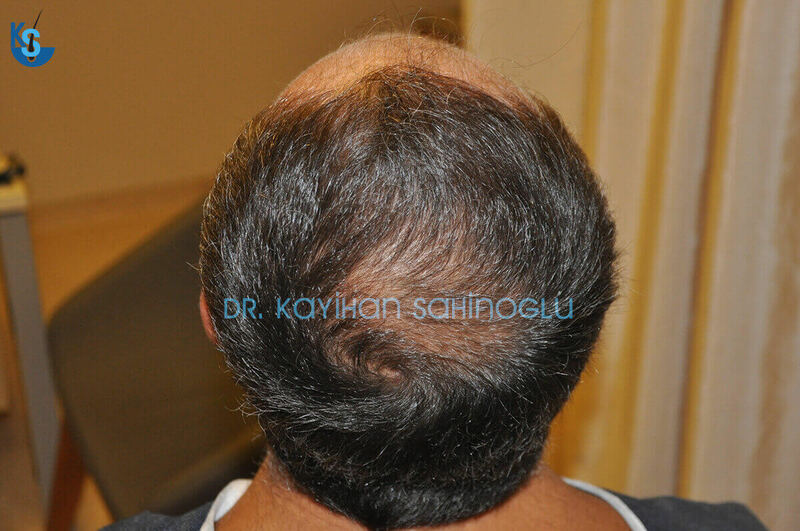 Since hair loss seems likely to cause baldness in the back eventually, the surgeon had used the graft supply carefully. Because of this, with this surgery, the crown looks dense and hairline looks natural. For the future, the patient has enough donor hair supply in case the last surgery is necessary to fill the back of the head. As you can see, if you just look at the pictures, you only see two things achieved. In reality, there were three goals achieved. That is why it is essential to talk to the doctor to see clearly what he represents. The depth of the analysis is the key in these type of surgeries. Therefore, it is important to remember there is always more than what you see and you can only find it out if you research enough. Additionally, asking different surgeons and clinics about your case is useful to see who’s approach is more detailed and thorough. Until now, our focus was on cases where the surgeon performs the surgery. That is the half of the story. The other half contains everything we discussed earlier and adds more possibilities. It is a fact that many clinics use technicians for conducting the surgery. 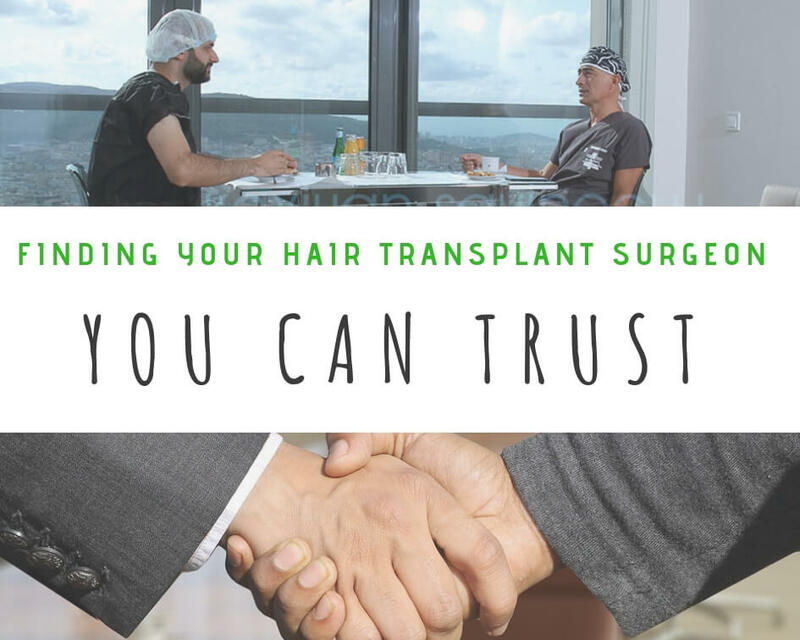 We recommend getting your hair transplants from the surgeon personally, but respect your decision if you accept a technician instead. In that case, you need to be extra careful. Usually, surgeons have a couple of technicians working with them. The problem is, you don’t know whose work you are looking at online. You see a hair transplant before and after picture, but it can be any one of the technicians, or maybe a couple of them together. Naturally, it is harder to rate the work. Let’s say you liked the pictures and decided you want to do it with a certain clinic. Next, you ask them about those pictures. Can you be certain you get the job done by that technician? Because there is a possibility that even they don’t know who did that surgery. Or, maybe that technician is full and they tell you someone else instead. That is devastating when happens. In today’s market, that remains to be one of the critical problems. There is so much commotion; the more people involved in the operation, the crazier it gets. With the current increase in hair transplant market, clinics and surgeons can’t supply enough procedures. In Turkey and India, every clinic is full for three months. Because of the significant price difference, a lot of people travel to these countries to get their hair transplants. Since they can’t physically go to the clinics and have a discussion face to face, their best bet is checking hair transplant before and after pictures. So, if the clinic concentrates its marketing efforts there, technician or surgeon performing, they will have patients. Then it would be smart to be careful when searching for a clinic in countries with higher demand. In some cases, the pictures you see aren’t even real. They use pictures of people with their original hair. And you don’t even recognize it because when your feelings get into the way, you begin to see things the way you want them to be. Naturally, this presents with an opportunity to those clinics who are not very good at their profession. After a year of the surgery, when you realize something is wrong, it is too late to go back. The damage is already done and your only option is to either accept it or get a second surgery. That is a gamble. You choose your hair transplant surgeon based on the before and after pictures, you see online, you are taking a severe risk. But that is human nature and you might do that anyways. In that case, we have a small guide for you to use while building your own strategy. 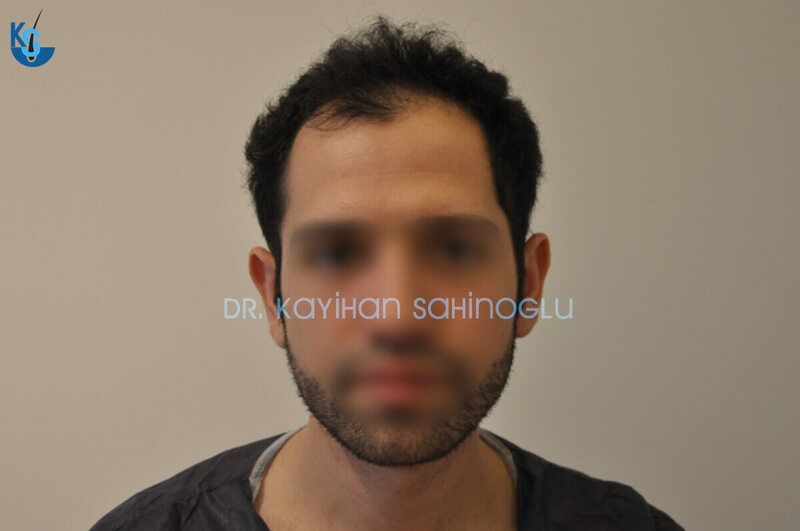 You have found several hair transplant before and after pictures and liked them. Then we recommend asking a lot of high-quality questions to the surgeon. First, every answer is physical proof for after in case things go wrong. Second, the more you ask, the more you will know about the clinic and doctor. Who did perform this particular surgery? If a technician, which technician in particular? That case is similar to mine, how can you guarantee the same result? In this picture, how many grafts were used? Do I have enough hair supply left for the next possible surgery? If agreed on a technician or surgeon; Will that particular person perform the surgery, personally? Is it confirmed? Do you have other pictures of the similar case-patient? Can you contact him to get more recent pictures? Can I contact the similar case-patient myself? If not, can you give my contact info and ask if they would be willing to help me? What will be the strategy, what do you predict for future hair loss and how should we distribute hair supply? When you ask these questions, you get more answers. From the patience of the surgeon to the details he provides, you have a ton of info you can use while making your decision. Moreover, you just checked how effective the clinic’s communication with their former patients is. If they reply and say they can’t do that, it is not a good sign, is it? But if they say, yes “let us do that for you” or, “we are obligated to protect our patients’ personal information, but we will send your information and ask for assistance for you”. No matter what the answer is, every word is something you can use while making your decision. The trick is, not being afraid to ask, you have the money and you have the power. If you are going to spend all that money and you can’t even get enough information, do you think you can still get good hair? Ultimately, every little information comes together and forms your knowledge about a subject. 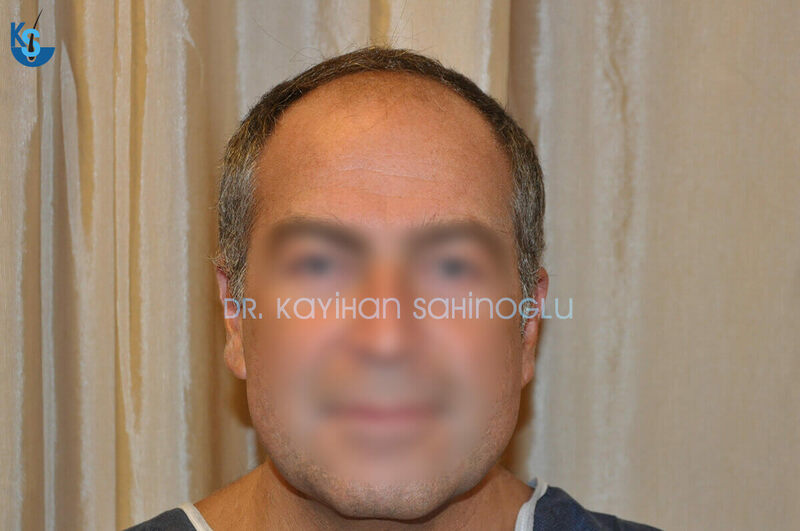 In this case, the hair transplant before and after pictures is a significant information. But it is incomplete. With other data and confirmation, that can produce an excellent outcome. 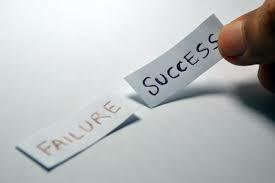 In the end, the success is behind completing the puzzle with the right pieces, not creating them yourself. When you lose hope or you feel panicked, try to remind yourself you are just one step away from getting your old look back. Once you find your ideal surgeon, everything else will be a lot easier. So, whenever you are overwhelmed, remember this and work harder. Because in the end, it will be worth it. 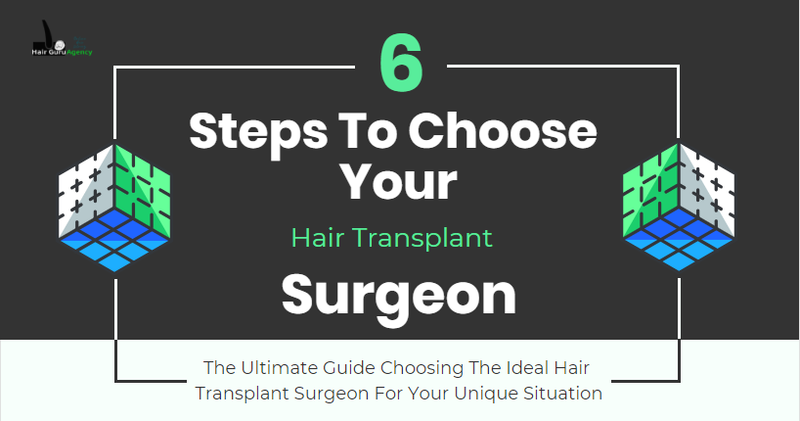 Here is a guide you can use while choosing your hair transplant surgeon. Hair transplant cost in the UK and North America are what people are searching for the most these days. Roughly, 16 million people are suffering from hair loss. Naturally, this creates a huge market for hair restoration. And with the demand increasing, the price of per graft gets higher. In the end, it is very difficult to find a clinic within your budget. Or is it? There are a couple of options you have even if you don’t have a five-figure budget. 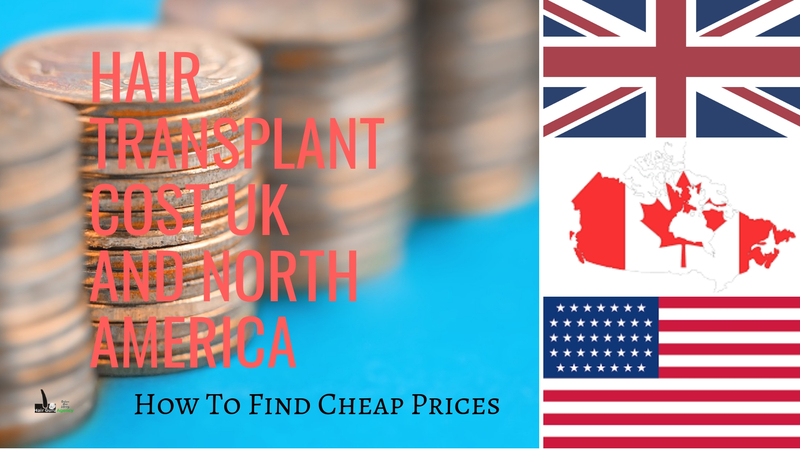 Let’s see hair transplant costs in the UK and North America and what options you have. Hair transplants can cost anywhere between $2,000 to $50,000 in American Dollars in the UK. This is a massive range. When there is so much difference between the low and high limits, people tend to need guidance. First, having a procedure with the least rate per graft doesn’t mean you will get bad hair. But it means, your chances of not having the look you want in the end is higher. Furthermore, getting the most expensive procedure will not guarantee the best possible look, it means overall the clinic is more consistent with results. More importantly, no matter the cost, you are looking for a natural looking hair. It doesn’t matter if your procedure costs less if you are not satisfied with the results. Therefore, the first thing you should be looking for is the quality of the operation. What happens if you don’t? Now, this is the painful part. If you can’t build an internal balance between cost and quality, you will end up either paying too much for what you were not looking for, or paying too little for the same ending. Therefore, finding the right balance will get you to the right place in the end. Now, we are going to announce the best clinics in the UK. There is none. As we explained from the beginning, there is no best clinic or list. If you see any lists or comparisons, stay away from there. Someone can say a doctor is very successful because of that surgeon’s results. But it doesn’t necessarily mean that the doctor is the ideal person for you. That is the key point. Every clinic has their rate and then discounts. If we make a comparison of prices here, there is a high chance of making a mistake because you might get a better discount or no discount at all. Therefore, we believe it is better to guide you to make your calculations for your unique case rather than just giving you numbers and names. That might seem easier for you, but in the end, things will get harder. How Do I Find The Best Price? We believe in teaching people how to do it themselves. Because we have only one surgeon we can recommend. And there are thousands of people out there looking for a hair surgeon. So, we can only solve a couple hundred peoples hair loss problem in a year. We want to help the remaining millions. that is why we will give you our method to calculate costs. You begin with finding a lot of clinics from the areas you might be okay to travel to. If you don’t want to fly, then you would be looking for places around where you live. You want to travel, then you select the countries first and then find clinics. This is where people make the mistake. People generally find deals first. Either the price is too tempting or their desire to get hair transplants is too strong, they commit to a surgeon. We have seen many pictures of people’s hair with irrational, asymmetrical or not dense. The common failure in all is that the patient started their journey from the wrong point. Naturally, that affects the outcome of your entire journey. Our experience has shown that the optimal path begins with the country selection. 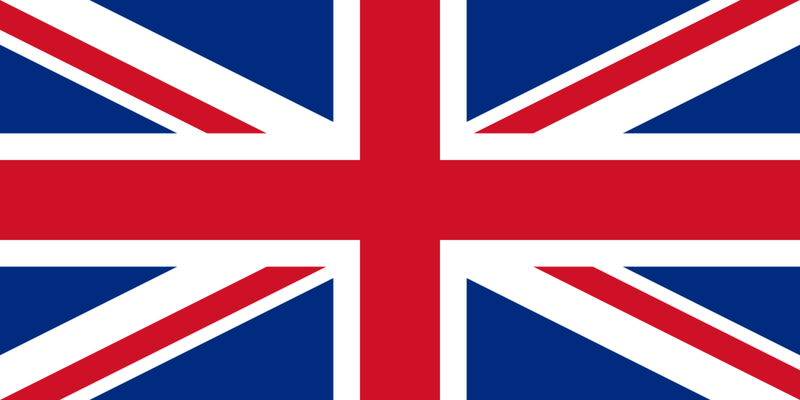 If you want to get the procedure done in the UK or North America, your price is anywhere between $2,000 to $50,000. If you are okay with traveling to other countries, Turkey and Brasil would be the second and third options. Their prices are between $1500 and $15,000. If you want to pick Mexico or India, you are looking at between $1000 to $8000. Now, we give you a secret. If you compare prices, your expectation is the UK and the United States leads in quality. And Mexico and India would preferably be the last choice. That is wrong. Compared thousands of results and prices, we have seen the reality. There is a weak correlation between rate and result. In so many cases, the higher price doesn’t bring the best outcome. Similarly, a lot of cheap options provided the impressive outcomes. We concluded, the price shouldn’t be the main component of your decision-making process. Finding the right clinic should be your beginning point. If you find a clinic with results satisfying results and affordable price, you are one step closer to success. If you can validate the clinic, and make sure they are true to what they show online, you have found it. We must warn you though, there are only a few places like that and the rest is likely to turn out to be a deception. There is a second possibility, you find a clinic you like, but can’ afford it. It is okay. Even if you can’t go on with the process, at least you have a real example of what you are looking for. Your research is %95 complete. You just need to find a similar place where probably the surgeon will have less experience or fame. There is one thing we want to warn you; that is, don’t get attached to your clinic before you know everything. In many cases, the patient gets attached to the clinic. Some of the patients get even protective about their surgeon. That is a very important sign that you should slow down immediately. Being protective means you get attached to the idea that you are safe. In a market like this, you are never safe. In fact, now you are in more danger because your feelings got in the way. Stick with your plan. If you don’t have a plan at the beginning, you are in danger. Because %80 of marketing out there is designed to go after you specifically. Marketing people know that it is pointless to work toward people who have a plan, they are generally immune to the tactics. However, that new patient who has just decided to get hair transplants, that is fresh meat. They know that their words can trigger feelings of that person. Once they get in your head, you will be pulled towards a mistake. However, if you have a goal and plan at the beginning of your journey, you are immune. Package deals, shock deals and, fancy new procedure names can’t affect you because you have already sufficient knowledge about everything and a solid plan. Because, if you find your ideal clinic, you will know that they won’t trick you. It is essential to understand the function of the clinic. It is not just a place you go to have your implants, no. A clinic represents many elements. These are our famous warnings. You need a confirmation on who will perform the surgery. If you are okay with a technician, then confirmation of that. If you agree to pay for the surgeon, then that confirmation. If you don’t confirm that, the surgery day, you might end up devastated when you find out you paid for the technician and came all the way for that. The right clinic will make sure that your wishes come first. Your surgeon will listen to what’s on your mind and deliver that. If there is a problem with what you have asked, he will tell you why it shouldn’t be done. Empathy is essential in your relationship. If you can’t communicate well then this whole thing will be problematic. When you find the right clinic, you will also have the support after your surgery. In most cases, after the surgery is completed, your communication with the clinic isn’t very effective. And sometimes that is because of the clinic’s ideology. Other times, because they are very busy and understaffed. In both cases, this is not your problem. You are as important as the next patient in the line for a procedure after you. When you find your ideal clinic, that is no longer a problem. It is the same story. You can change the location as many times as you can, the answer is always the same. Cost should only be an idea. First, you should get an initial idea about the cost, then the next time you consider cost should be while negotiating the clinic. 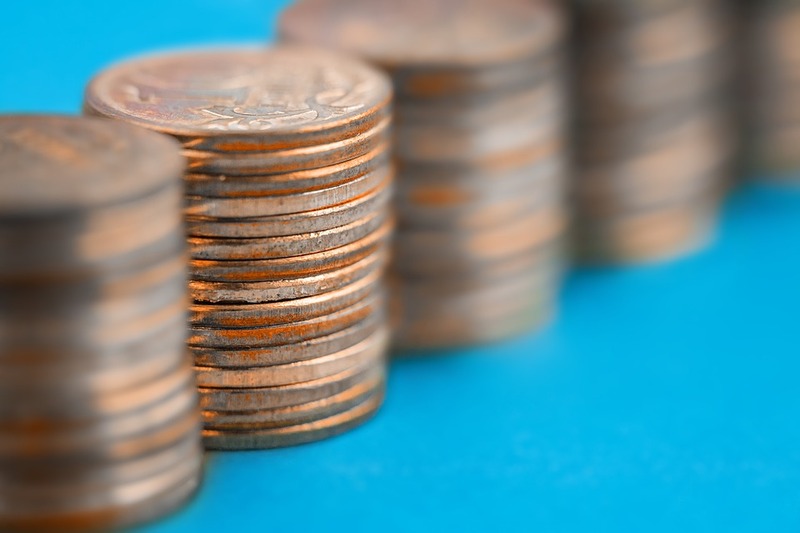 If you keep thinking about costs, you will prone to making mistakes. Earlier, we have written an article regarding the process of choosing your hair transplant surgeon. 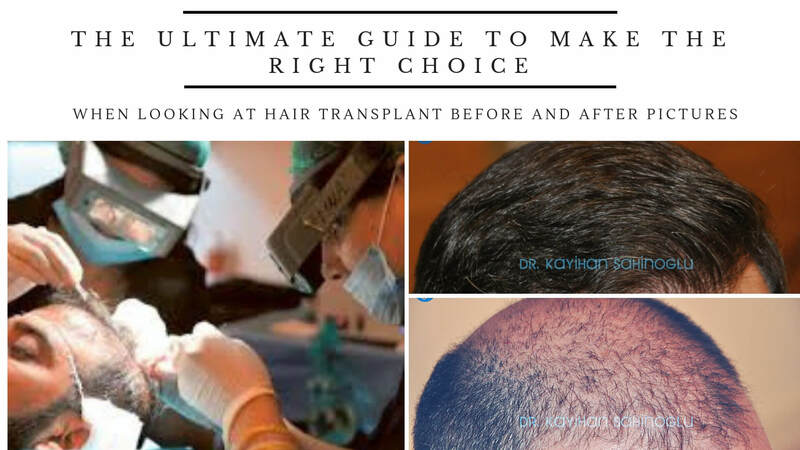 “How To Choose Your Hair Transplant Surgeon” helps you understand the process and guides you building your own strategy. That guide is only a suggestion. Your case is unique and therefore, your strategy should be as well. What we try to achieve here is, creating awareness. The only way a market can correct itself is through educating the consumers. We purely believe the power of the consumer. Thus, when you have a purchasing strategy, the cheap marketing tricks won’t work on you. This means, clinics will give to perform better, marketers should advertise honestly. When that happens, the market becomes more useful for everyone. Our sole intention is to never see a patient with over-harvesting again. Or, a patient traveling for hours to only find out he was cheated. And the only thing we can do is writing and hoping that you understand how valuable you are and you should learn to protect yourself. This way, when you see hair transplant costs in the UK, or Germany, or Morocco, you will think about clinics first. When you do that, and the others follow, people won’t have to worry about anything anymore and the chaos in the market will be over. That by the end of this article, you feel better about your strategy. Because being aware of the threats and tricks, you have a better understanding of your journey. We are sorry that we choose not providing you hair transplant costs in the UK with affordable prices. But this ay, after reading this article, you will no longer click for the prices but will click for the clinics. 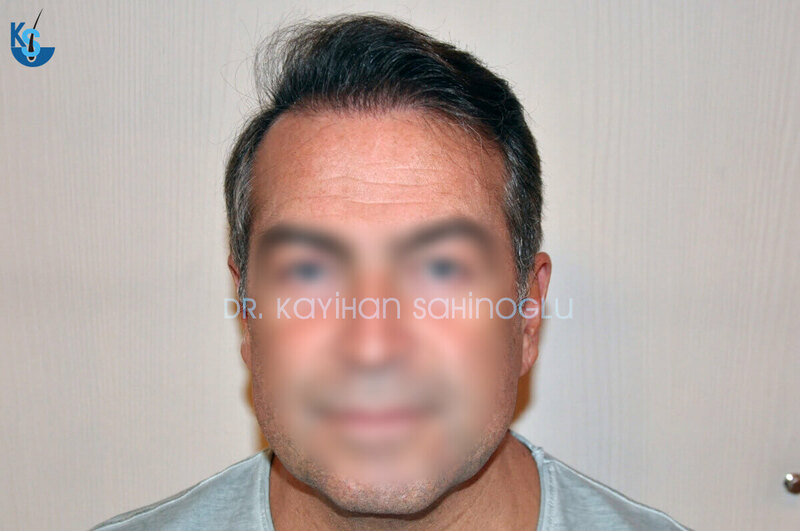 Just in case you need a little information about how to find a surgeon you can trust, here is our story of how we found Kayihan Sahinoglu. We hope that this story helps you finding your surgeon you can trust. Because in the end, it makes the difference. We hope that you stay strong through the process and focus on the most important details rather than swinging between different ideas. The best we can recommend is, prioritizing the most significant step for you, and build your plan around it. If you need help achieving that, you can ask our team for anything, we are always around the help! Receding hairline fix surgery is the first step of hair transplants. Recently, in our article “Norwood 6 Hair Transplants: Excellent Results Impossible, Or Myth?” we explained why Norwood 6 or beyond hair loss is not very different than earlier stages when your surgeon is good enough. 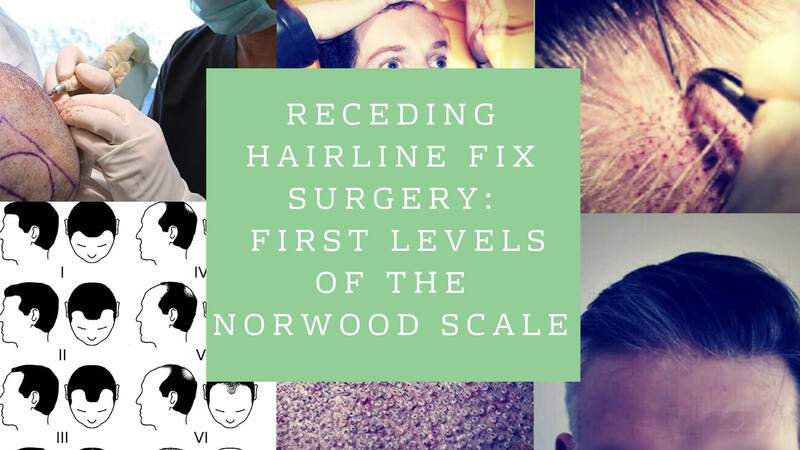 You can find any information you need if you fall into Norwood 6 and beyond in that article while now we will concentrate the earlier, beginning stage of hair loss. In general after the age of 25, sometimes earlier or later, people realize their hair recedes from sides or the center of the forehead. This is the first sign of hair loss in this individual’s life. The speed of hair loss differs from person to person. Some people lose their hair very fast and need a hair transplant surgery very early. In most cases, these individuals are beyond Norwood 3 and aim for covering bald are mainly. However, the other individuals lose the hair very slowly, and it takes a long time for them to reach the third level of Norwood. Naturally, the problem of these people is a receding hairline. Therefore, they need a hairline fix surgery to cover both sides of the forehead. When a Norwood 1-2-3 patient communicates a clinic, they ask for a hairline fix surgery. The thing with hair loss is, it might stop occasionally. It doesn’t have to be consistent. Yet, people think that their hair loss has ceased. They start considering a hair transplant procedure. In most cases when asked, they indicate their hair loss stopped. In other cases, the clinic doesn’t even ask, and they proceed with the operation. After the procedure, for a while, everything seems perfect. The patient is delighted because of the new look. However, as time passes, hair loss starts again. For some time, it is not visible, but as it continues, a void begins to appear. Now the patient has to do something to cover the void or use Finasteride or Minoxidil. But the sad truth is, after that point, only a new hair transplant surgery can fix the problem. The void between the transplanted and original hair is a severe problem in the short term. But there is an even bigger problem which you will experience in the long term. That is insufficient donor hair supply. Each individual has a certain amount of hair which qualifies as a donor. Unfortunately, not all the hair can be used for hair transplants. This means each individual has 4500-5500 grafts in their donor pool. Multiplied by 3, the number of donor hair follicles are around 15,000. The chances are high that, your hair loss will continue past Norwood6. Now you might be a Norwood 2; someday you might become Norwood 7. This is the critical part. Even when you have the maximum amount of hair follicles for transplants, that is still not enough the cover the entire scalp. You will have to sacrifice an area. If you get the hairline fix surgery, then you will use up to 2000 grafts from your pool. The remaining 3000 is not sufficient to cover your entire scalp. With 3000 left, after 10-20 years, you will have the crown and the back to cover. It won’t be possible. That means either your back will be bald, or your top. Both cases you will have a problem. We believe with the first hair loss, each individual should learn about the process and options. There is no single truth for all. Everyone has a unique ideal for this journey. But the sooner you start learning, the better your chances for handling the situation right. It is essential to plan ahead while considering the first steps. You have a problem, and it needs fixing the right way. Otherwise, you will keep having new issues to fix. You might think in twenty years there will be new solutions so you will probably be okay. Since the first FUT surgery in the early 1990s, it was everyone’s idea. In thirty years, only FUE method could be developed. We all hope that there will be a new way one day that will save us from hair loss problem, but for now, you will have to be smart about it. Otherwise, you will have a significant problem in the future. 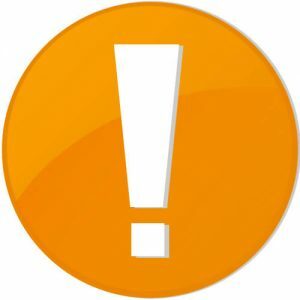 Warning you about the potential problems is our duty. However, it is your decision, and if you want to get the hairline fix surgery anyways, then you need information about results. Even people know the risks, they still go ahead and get the surgery done. This is perfectly normal. The bright side of this kind of procedures is the success rate. Compared to a Norwood 6 operation which involves twice as many grafts, Norwood 1-2-3 has a higher success rate. Norwood 6 restoration surgery requires both aesthetic work and dense look. The surgeon deals with twice as many grafts and has two goals to achieve. But in hairline fix surgeries, the objective is to make the hairline look original. A delicate and dedicated work is still needed; however, the doctor can only focus on one area. 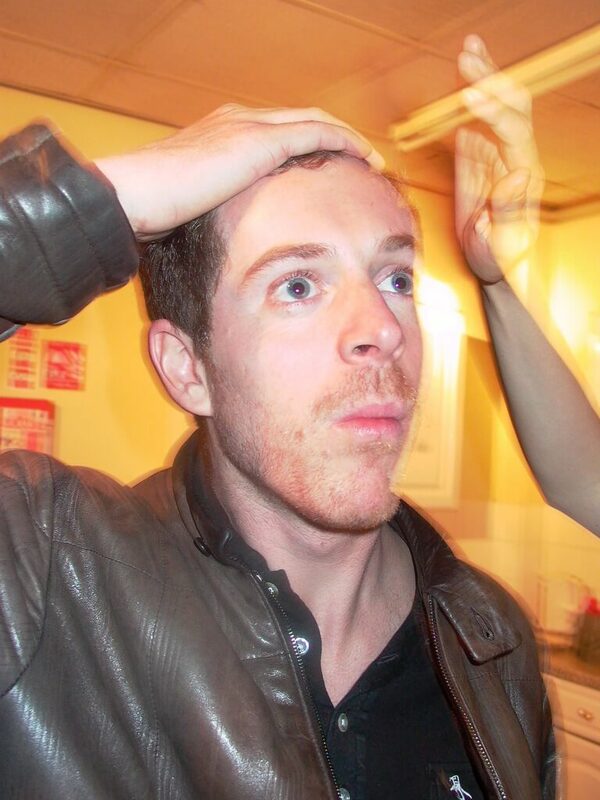 Naturally, the chance of having a natural hairline, in the end, is significantly more. But don’t let this fact tempt you. The skill and experience are still essential. Working with fewer grafts doesn’t mean an easier procedure. It means the surgeon has to perform even better. Because it is easier to spot an error after these surgeries. Attention to detail is more vital. Even if there is a small mistake, it ruins the entire look. Therefore, these type of surgeries is harder for the surgeon as the risks of failure is more. If you have decided to have a hairline fix surgery, congratulations! But now you have to be very careful. Because the risk of failure increased, these things are more important. Any mistake, even if tiny, can affect the outcome. The most common thing is after the surgery, because of an error, the patient has to adapt living with it the rest of his life. When the hairline is asymmetrical, or there is uneven density, you might become obligated to use your hair in a certain length. Just like the FUT method where you have to hide your linear scar, now you will have to hide the mistake. In some cases it can be repaired by the doctor; still, it is a lot of effort and stress. In procedure with higher extraction quality, we see less of these problems. Because the quality of extraction affects the results significantly, a properly extracted hair is harder to look bad. Therefore, it is essential for your surgeon to perform exceptionally while harvesting. If he extracts perfect, you will have a higher chance of a natural look. This is very straightforward, the more skill and experience bring a more natural looking hairline. It is sufficient to have a surgeon with enough experience to visualize the best possible look. Adding the talent to make it happen, you will have what you seek. The critical thing here is consistency. Our view for technician use is clear; hair restoration society needs its surgeons to achieve the highest standards. Technician involvement slows down the process. In this case, the problem with technician-handled surgery is the consistency. When technicians extract or plant hair, they do it in a pattern. Now, when there is a risk with only one person conducting the surgery, it is now doubled with technicians. Moreover, the quality of work drops because of lack of experience even if there is the skill. You might get a perfect hairline surgery with a technician performance. But that means you are just lucky. Because both the math and logic say, you are reducing your chances. We see so many impressive results of technician work. However, there is rarely consistency. Unfortunately, mistakes happen more than they should. You don’t necessarily lose hair the same age your father did. Genetics are important, but it is not easy to know whose genetics you acquired. Looking at the hair loss pattern in your family can give you an idea about possibilities. You can guess what your hair loss will be like. In some cases, you get the majority of hair genes from one side of your parent, that is why your hair loss is almost identical to that person in your family. However, if the gene comes from both sides, it is harder for you to guess it. Informing your surgeon about the pattern in your family is useful. It gives you an idea for when you should have the surgery. If your pattern suggests you will keep losing hair, there is no point in fixing your hairline. Soon, you will need another surgery, and eventually, you will have no donor hair left for the future. Therefore, you can use the pattern of hair loss in your family to your advantage. You are in charge of a company where you control thousands, millions of dollars. Or you manage a department where there is constant change in the market, and you have to solve problems all the time. You might be a rock star, partying all the time and performing. The stress and lifestyle are essential when you consider a hairline fix surgery. Stress and fast lifestyle lead to faster hair loss. If you maintain your life the way it is, then you should reconsider a hairline fix procedure. Because of the higher chance of losing hair, you are a candidate for a second and third operation. Considering you have responsibilities that you can’t leave, your hair restoration journey might become painful. We recommend everyone to be ready to adapt their mindset while changing the way they look. The outcome will be even better! We believe if you are sure about getting your hairline fixed, it is essential to find your ideal surgeon. We understand your wish to improve your look. In this case, your relationship with your doctor will be very long-lasting. Probably, you will get the second operation and eventually, the third. Then, if you find your ideal surgeon the first time, you don’t have to worry about the rest any longer. After the hairline fix, you will keep in contact with your surgeon and will be asking his opinion periodically. When the hair loss moves towards your crown, you will probably start considering the second fix. If you have an excellent communication with your doctor, this whole process will be very smooth. But if you make a mistake the first time, then you will have to start over the second time. Therefore, we highly recommend doing extensive research and making the decision only after you consider everything thoroughly. Here is a guide you can use to find your ideal surgeon. If you need help along the way, we will be here to help you. Copyright Hair Guru Agency 2018 All Rights Are Reserved.